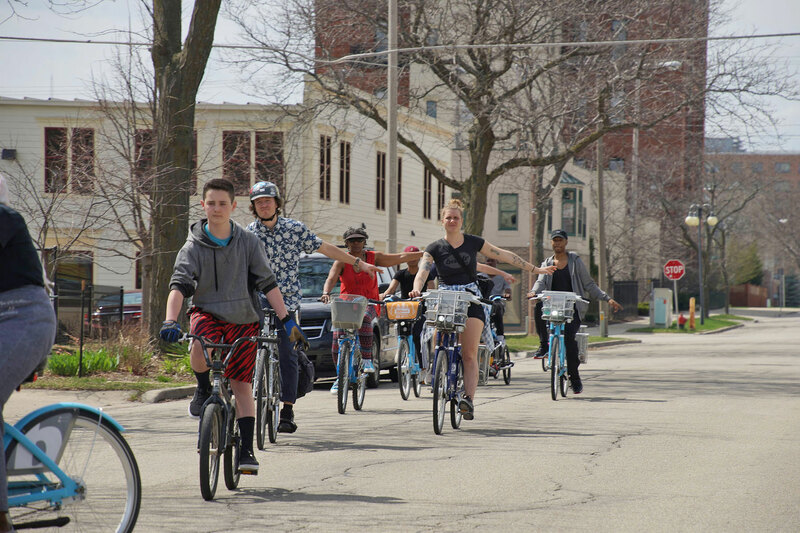 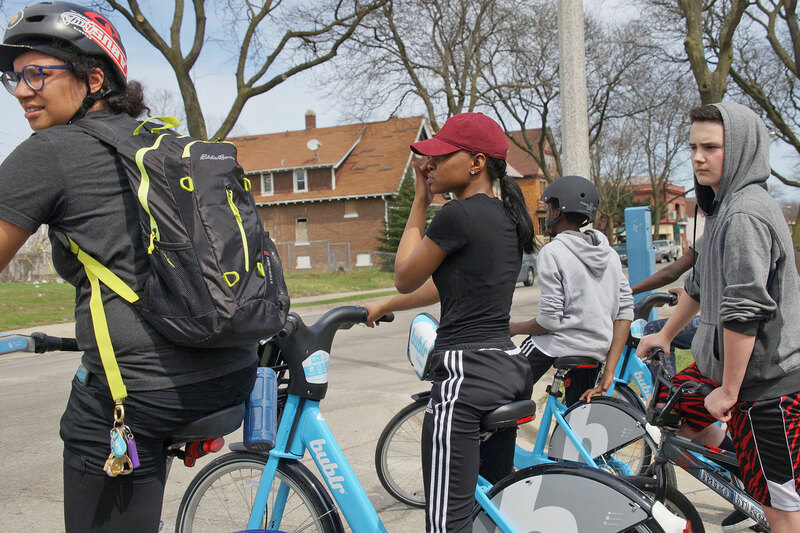 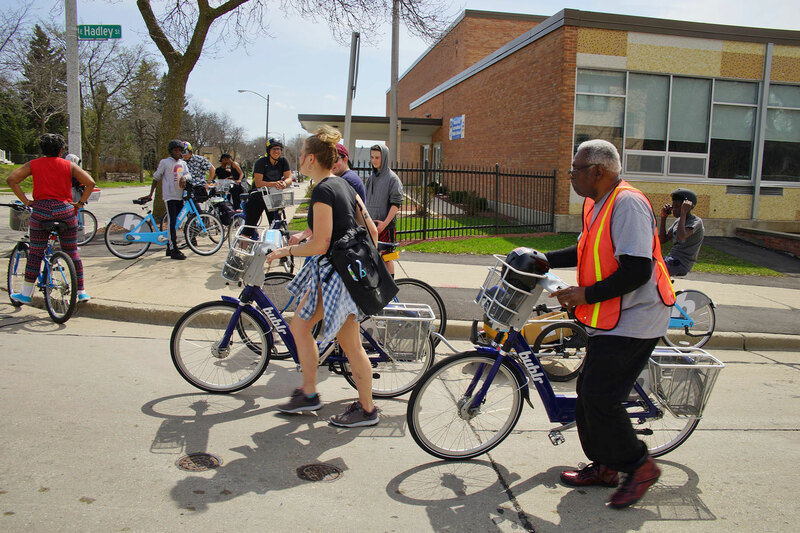 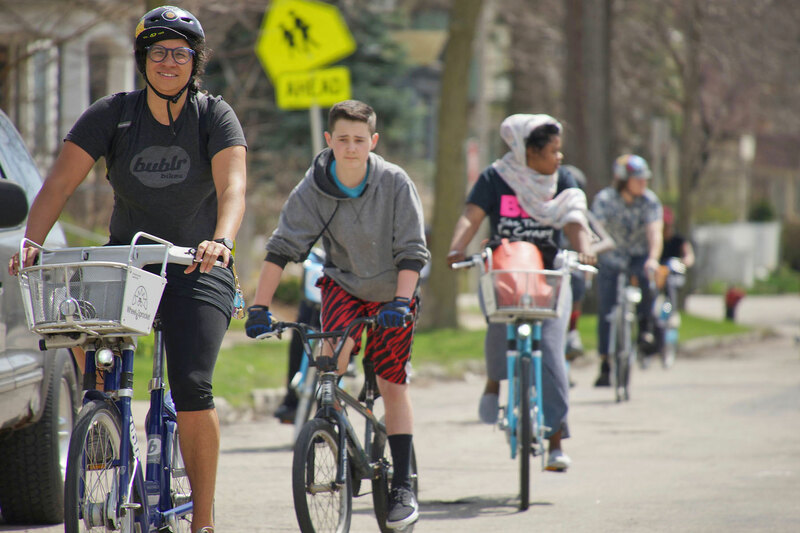 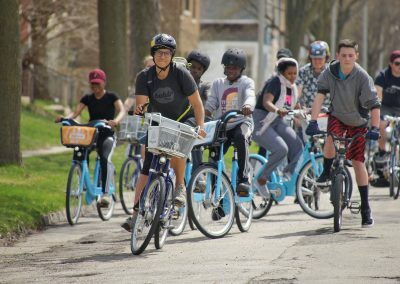 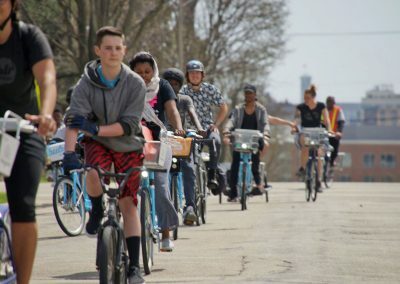 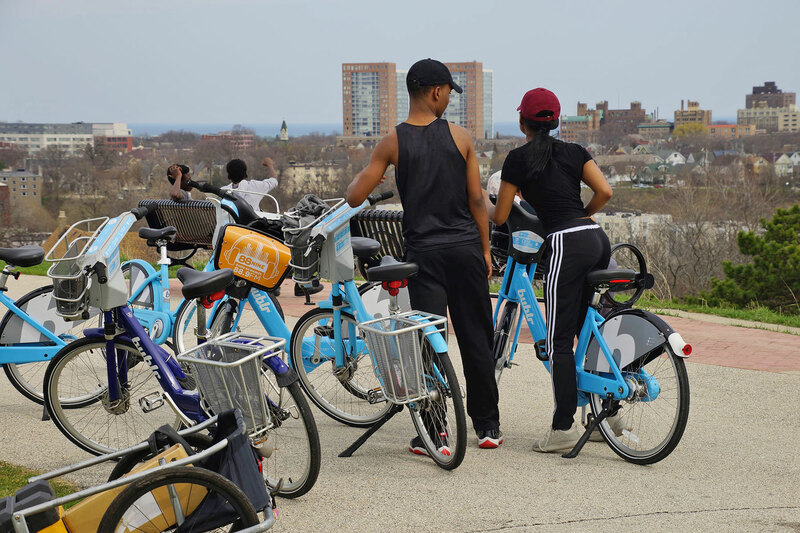 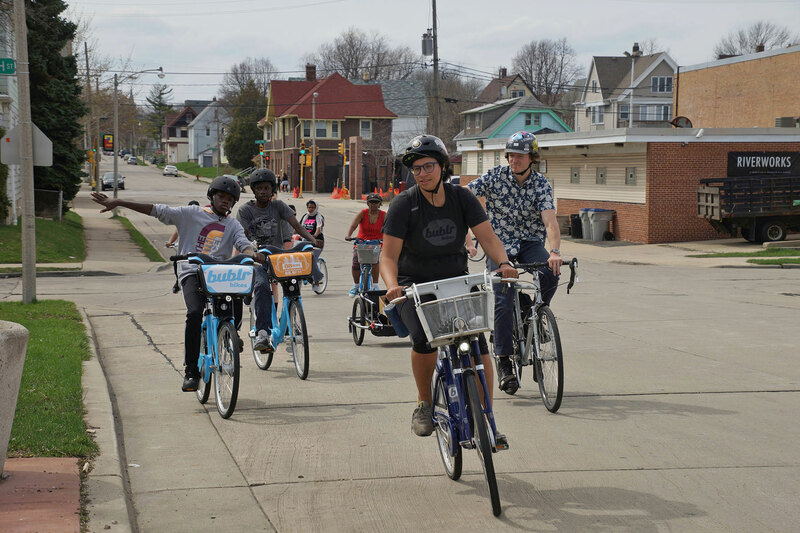 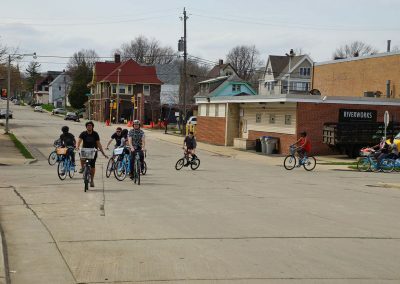 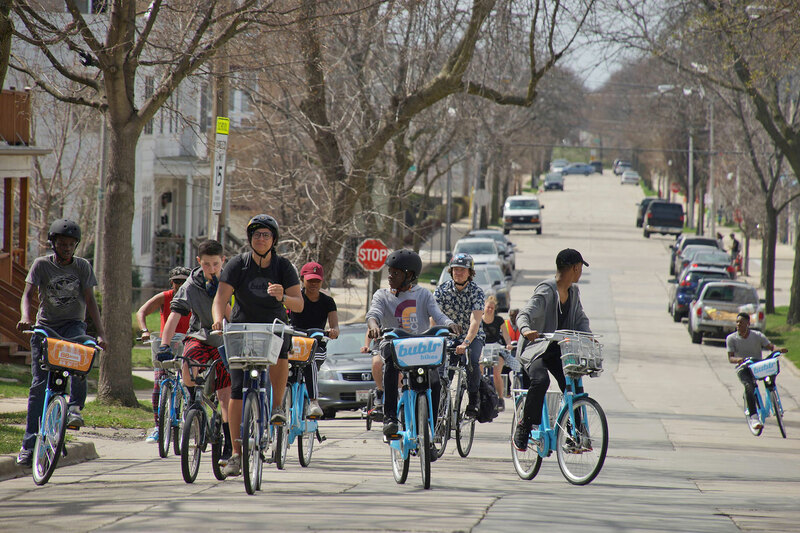 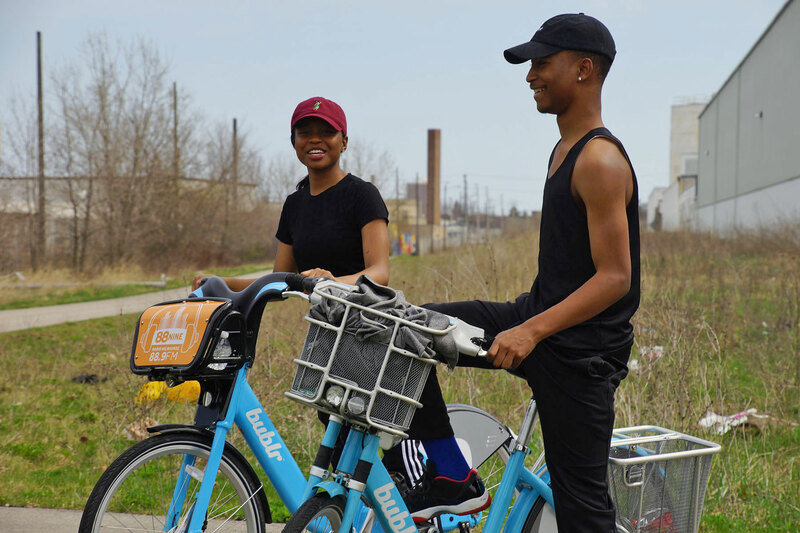 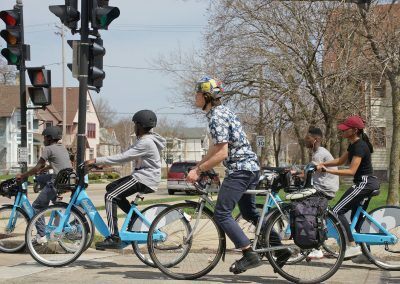 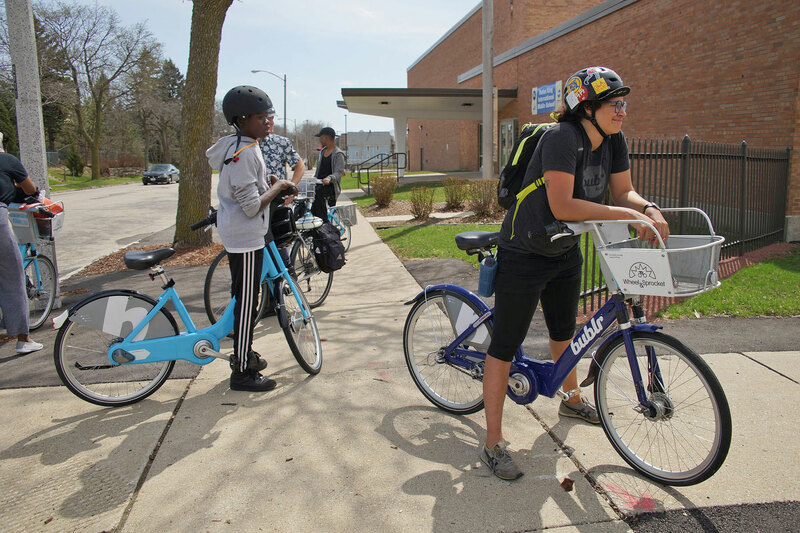 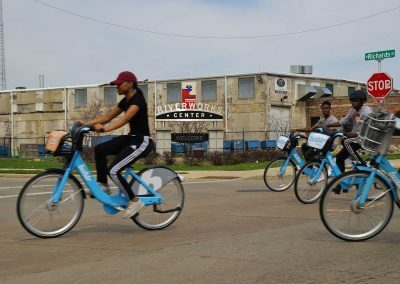 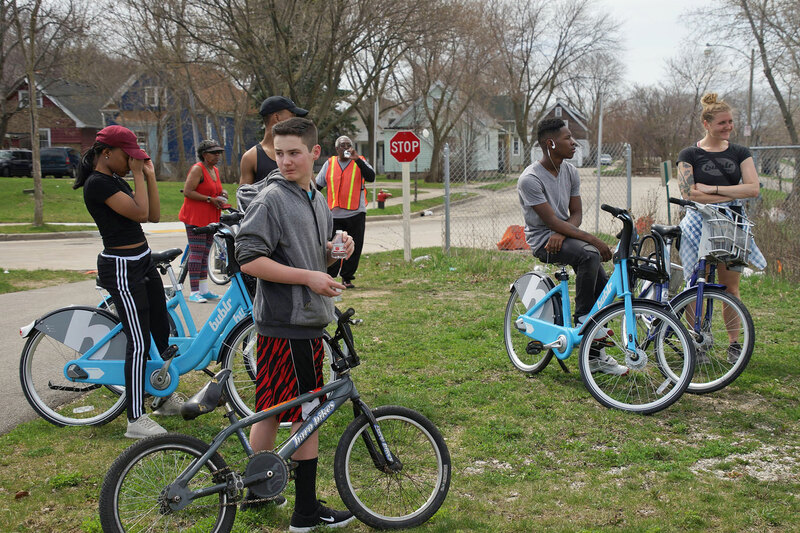 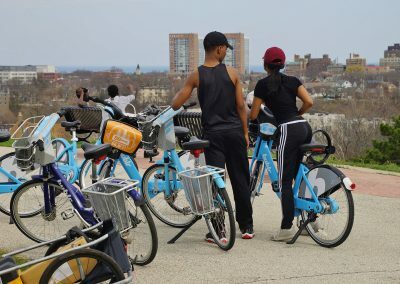 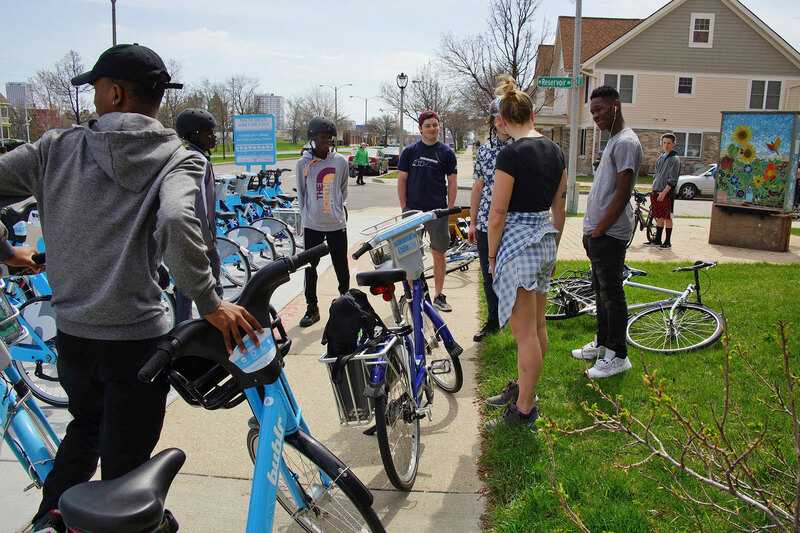 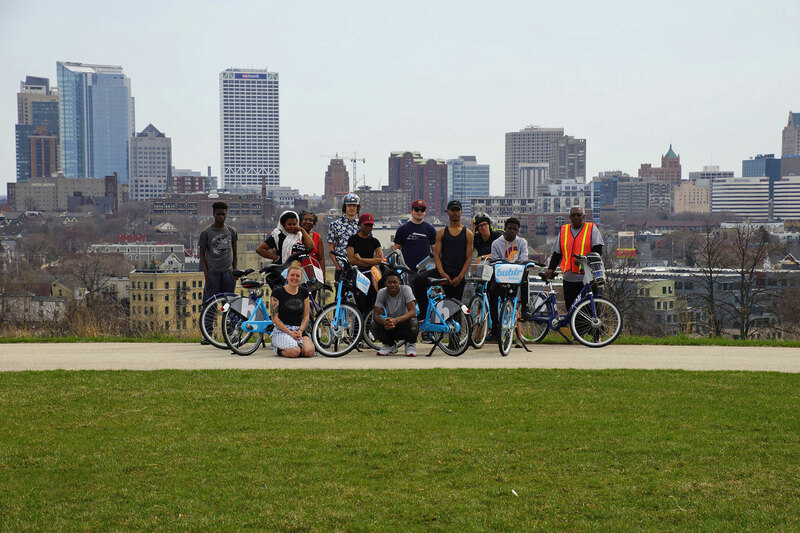 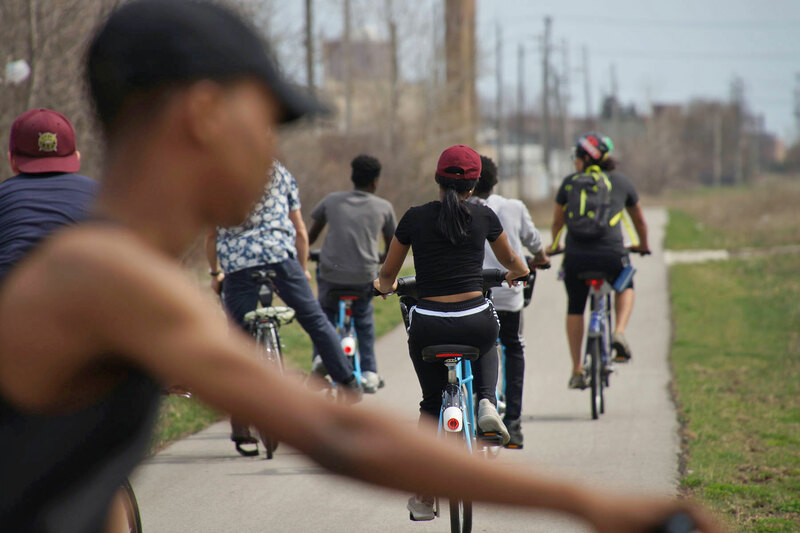 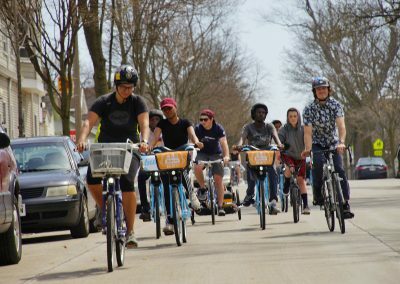 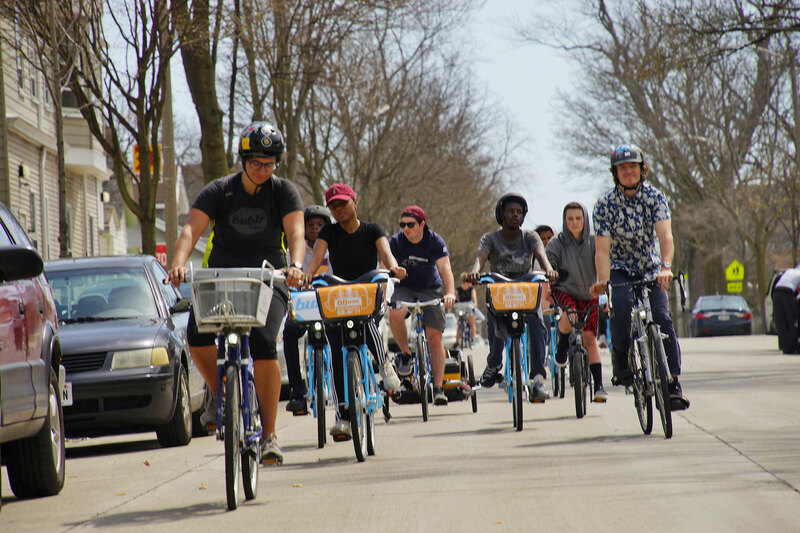 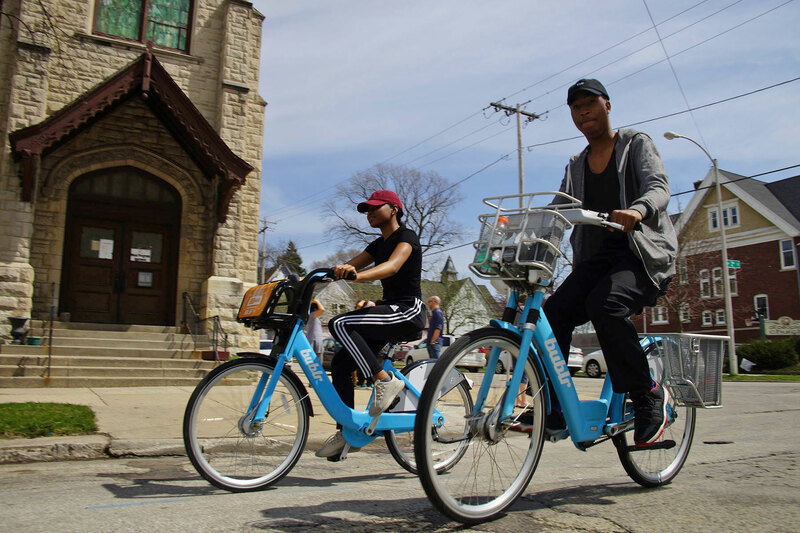 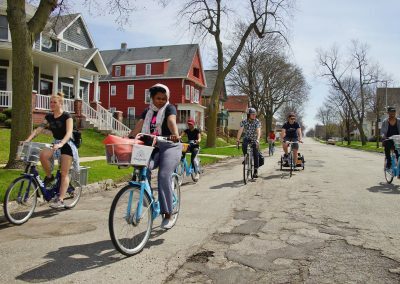 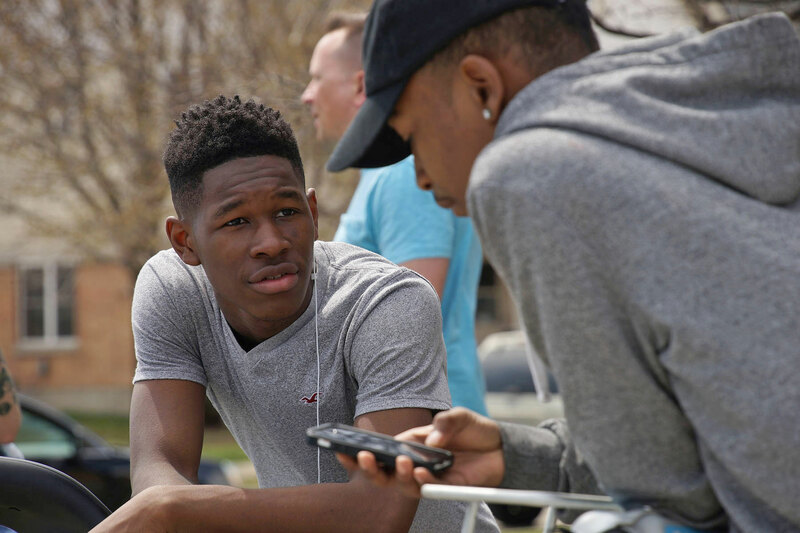 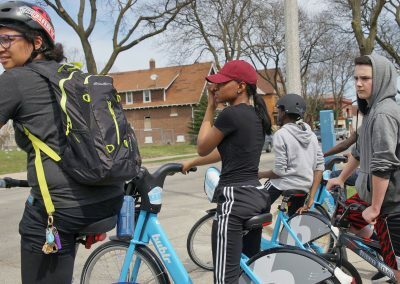 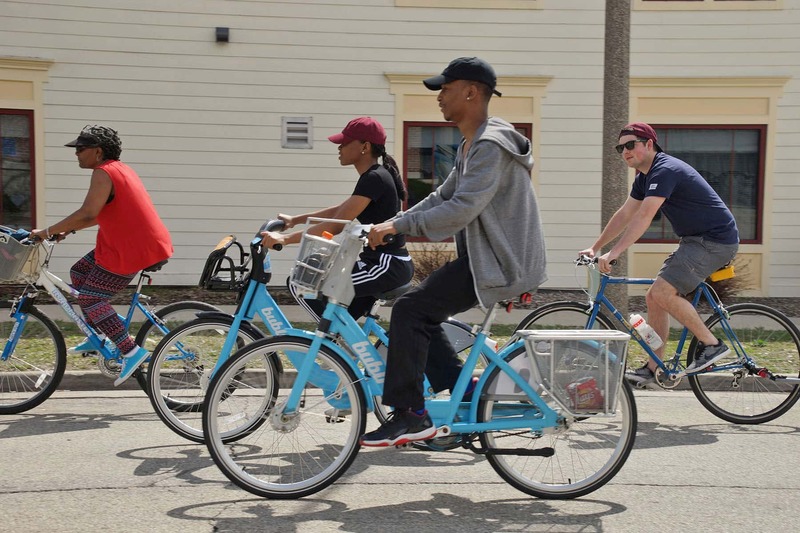 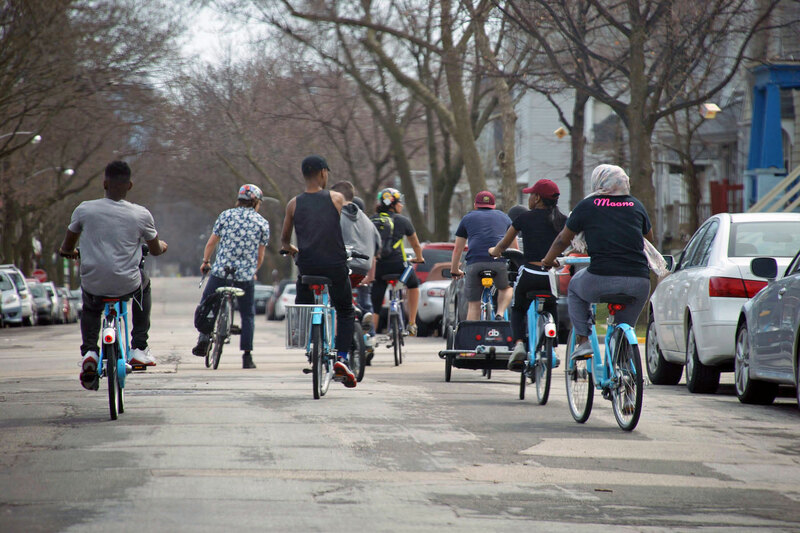 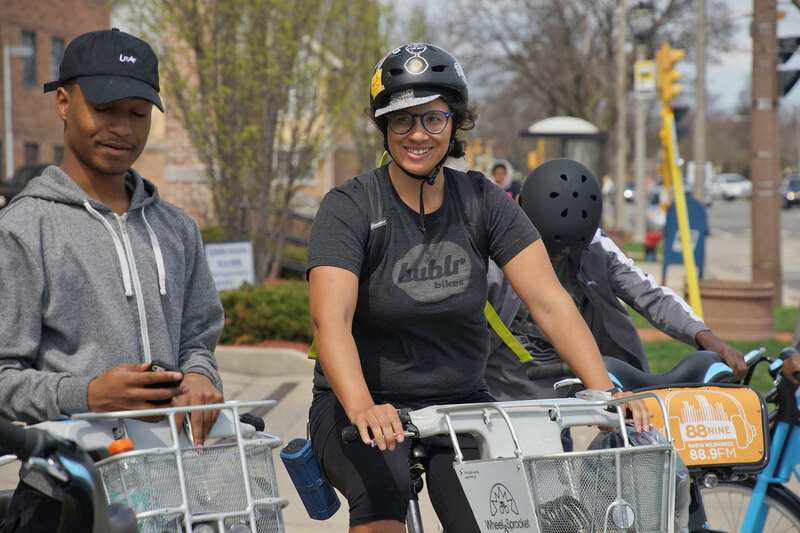 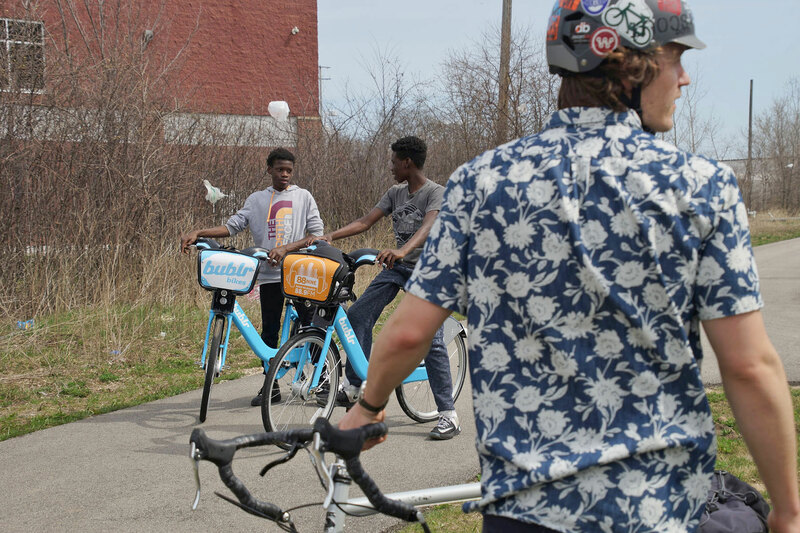 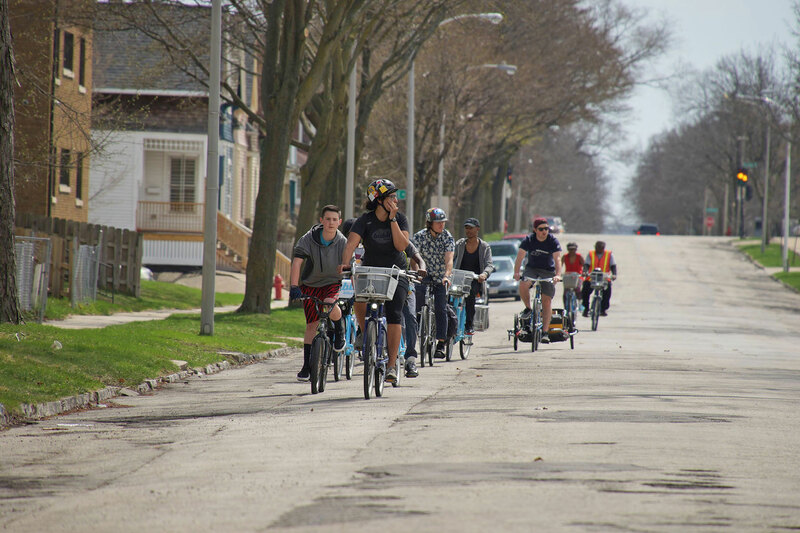 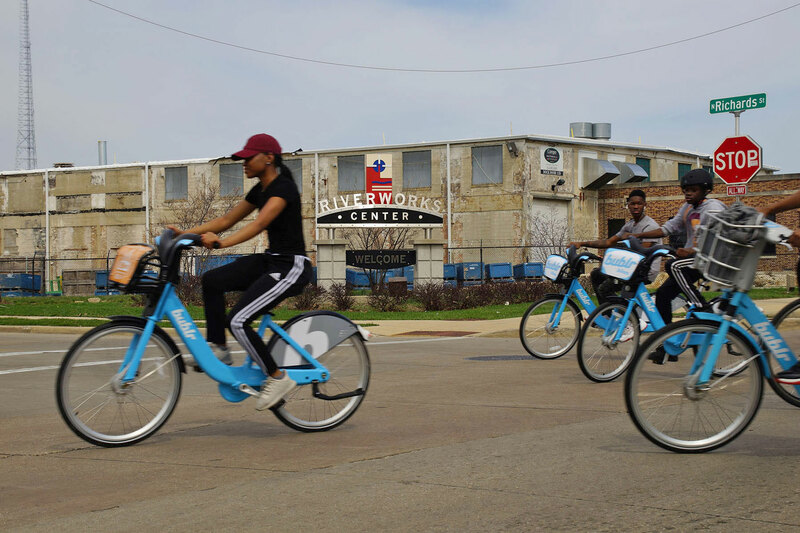 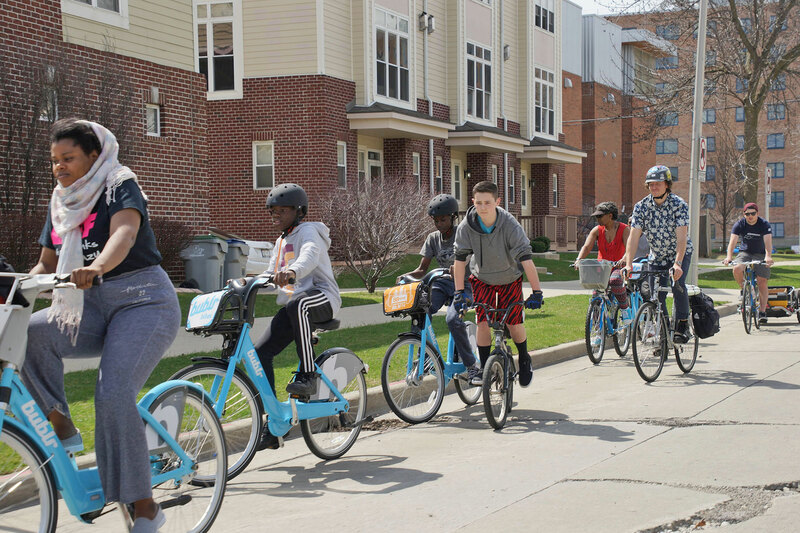 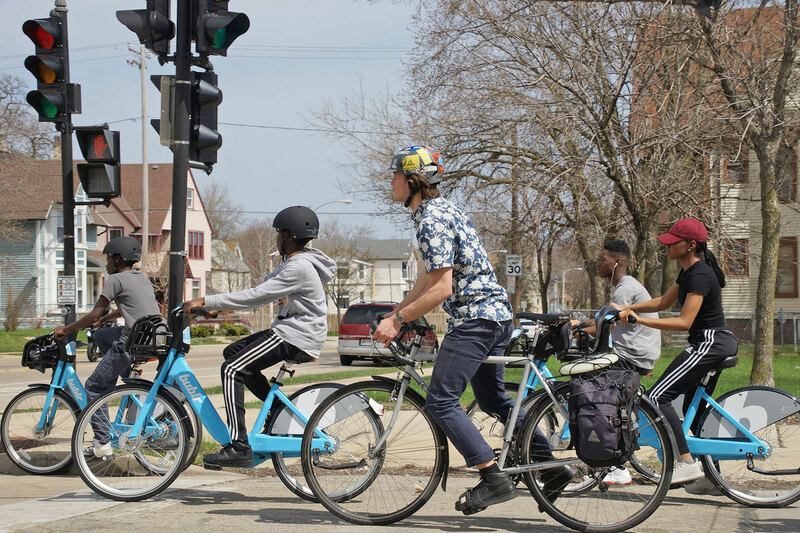 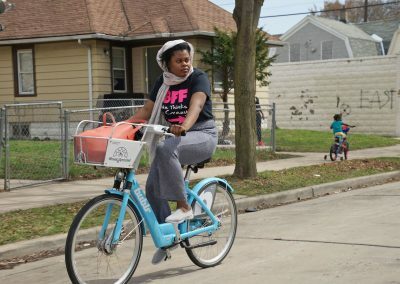 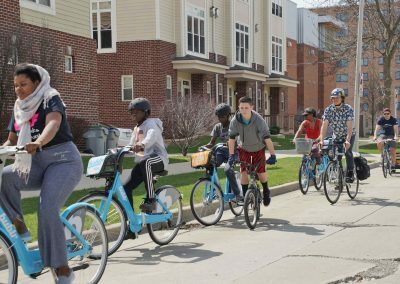 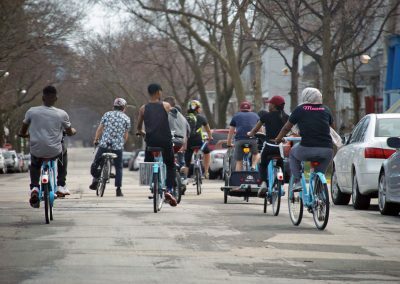 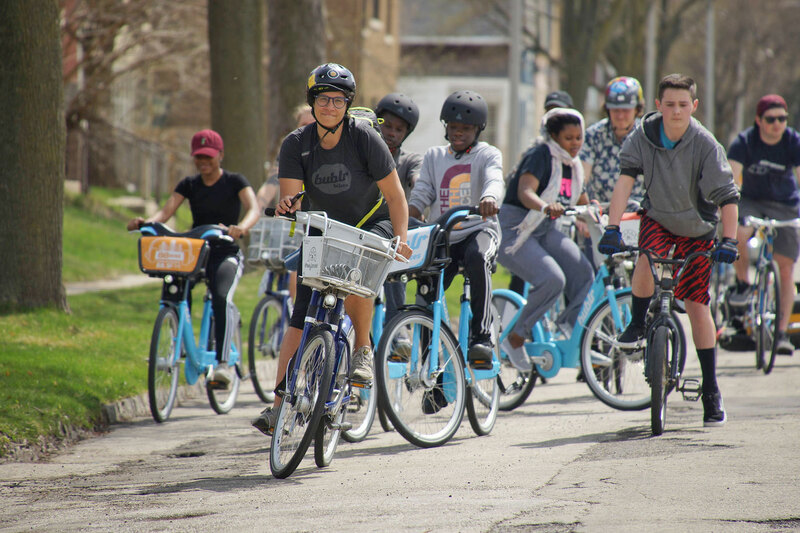 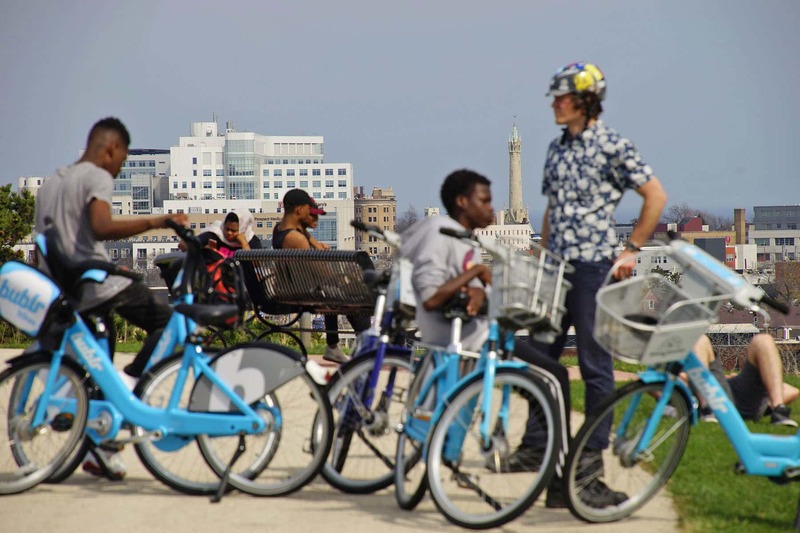 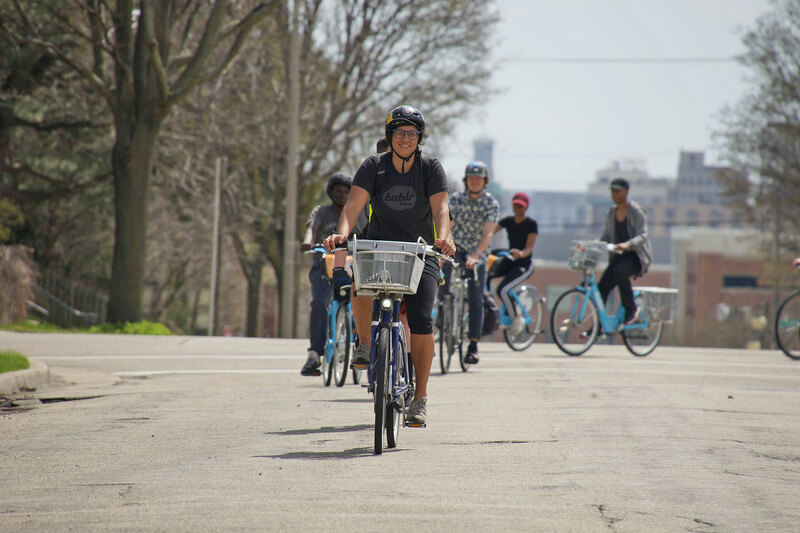 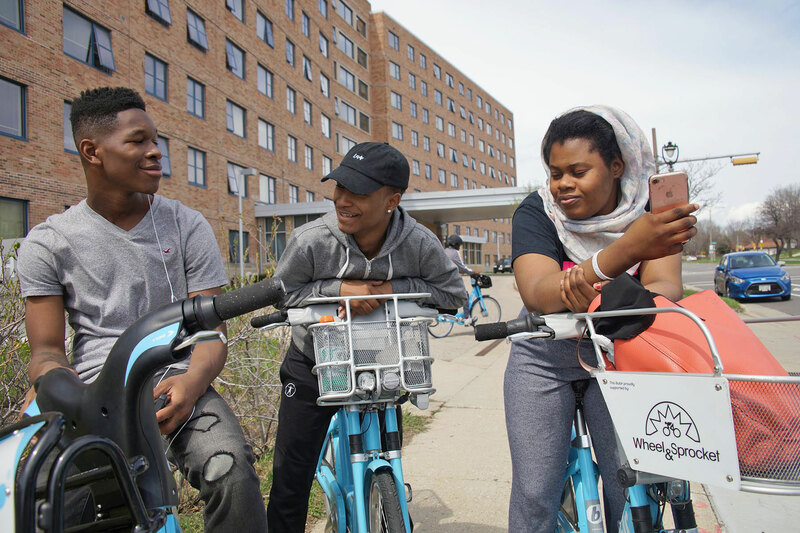 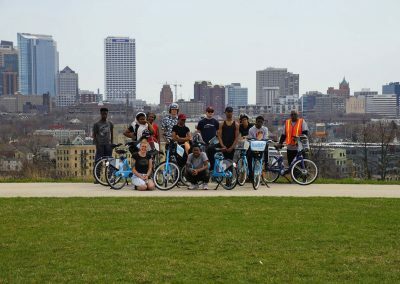 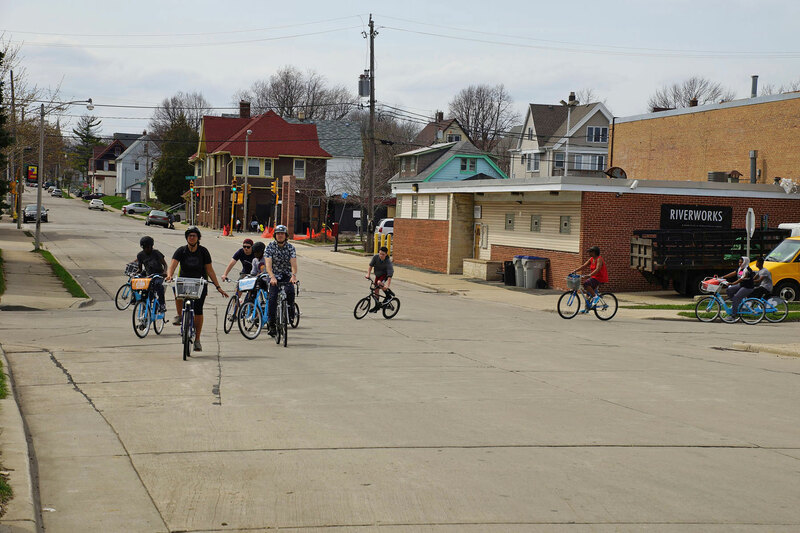 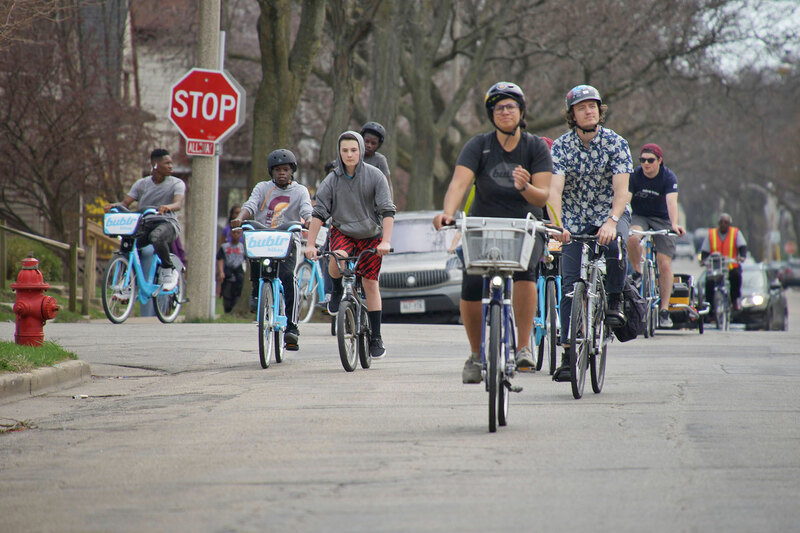 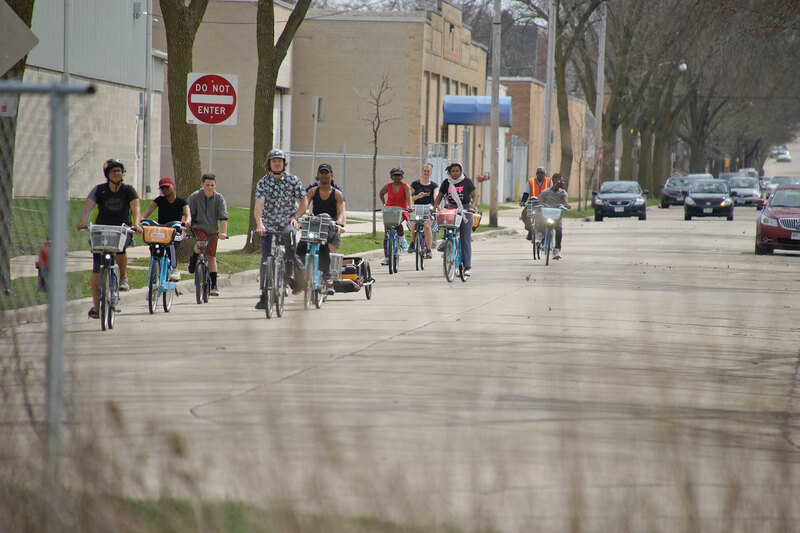 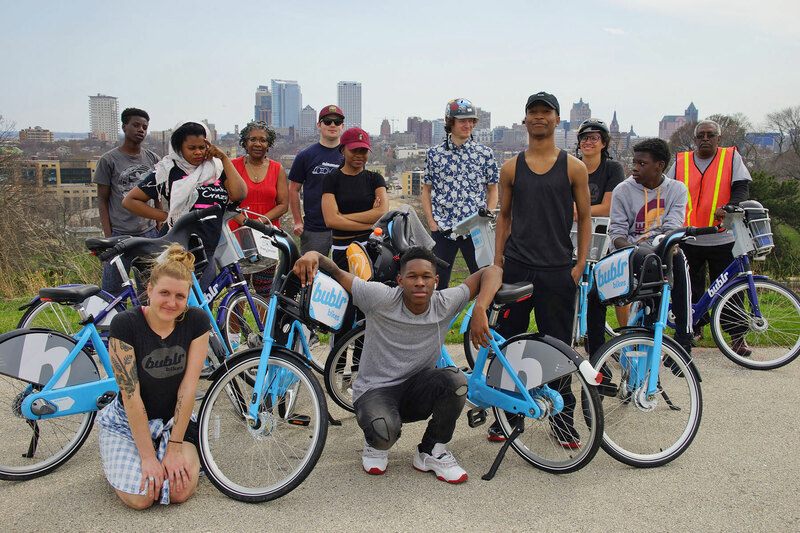 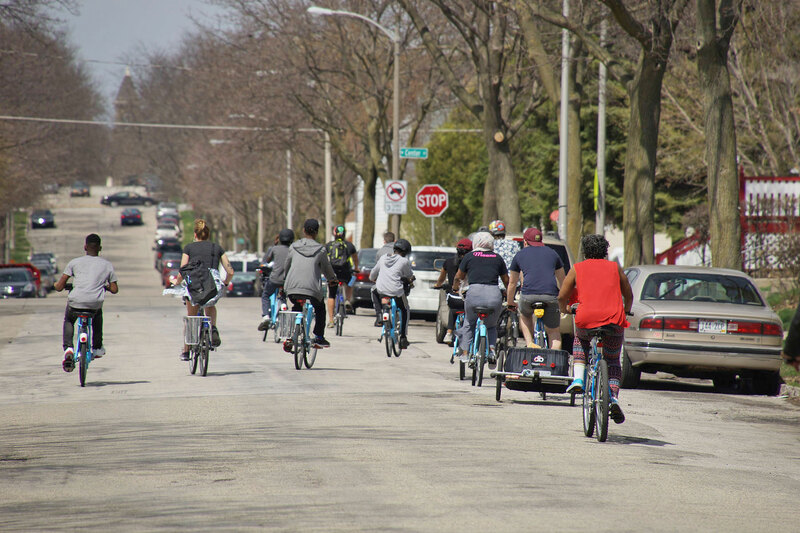 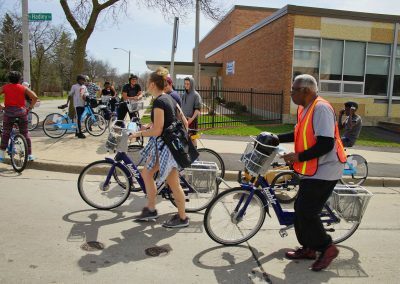 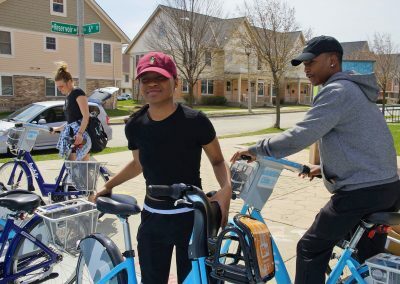 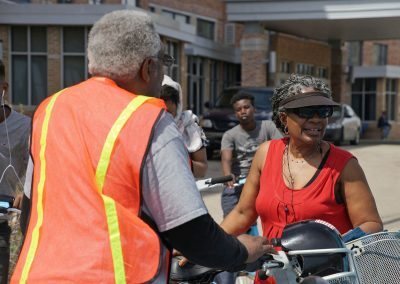 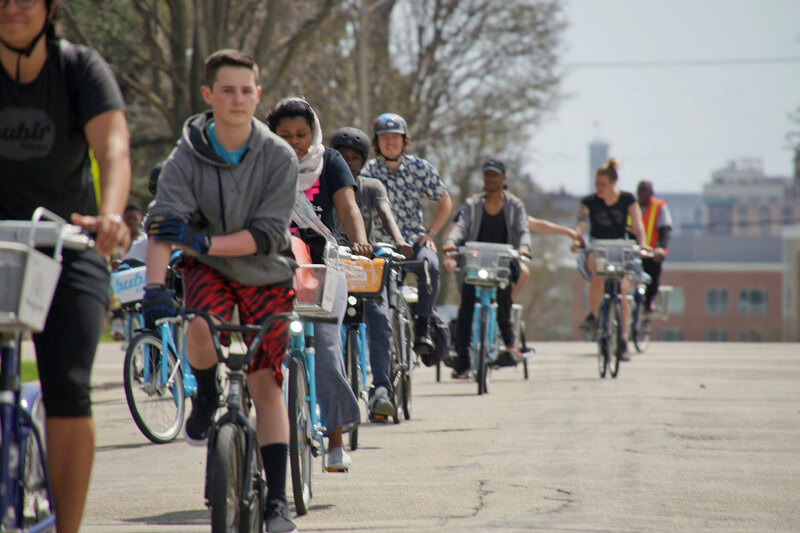 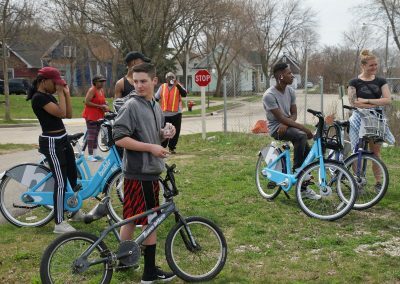 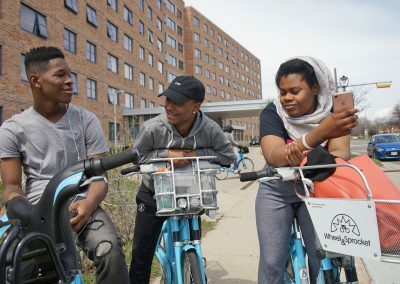 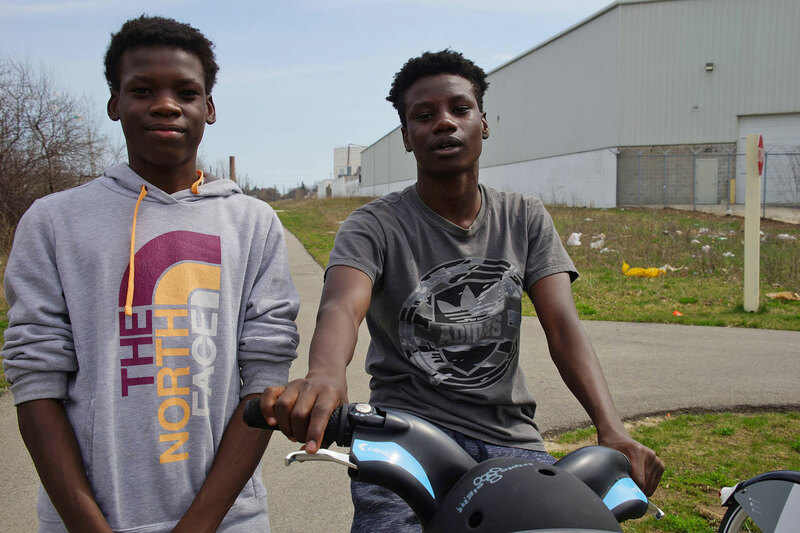 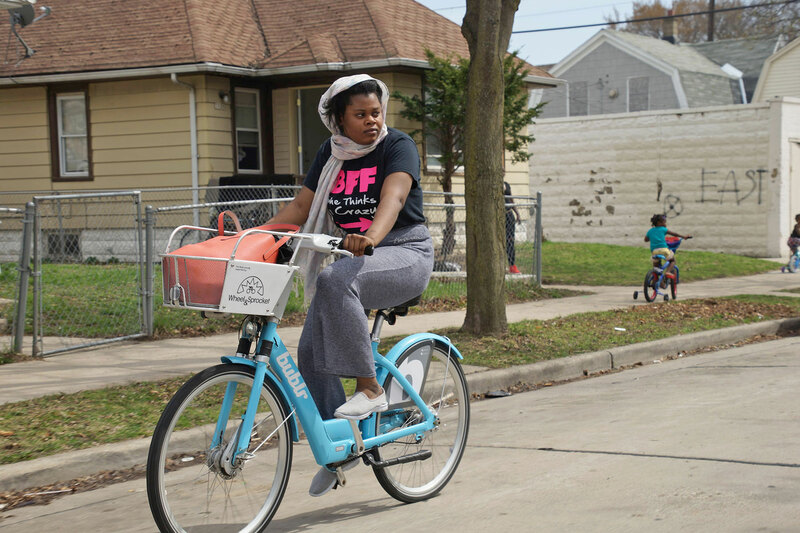 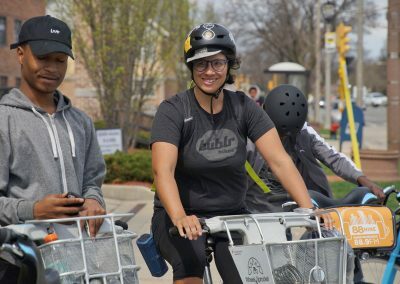 As part of the outreach program to promote the equitable use of the bike share system, a group of youth from mixed income families joined a pedal tour through Milwaukee on April 15. 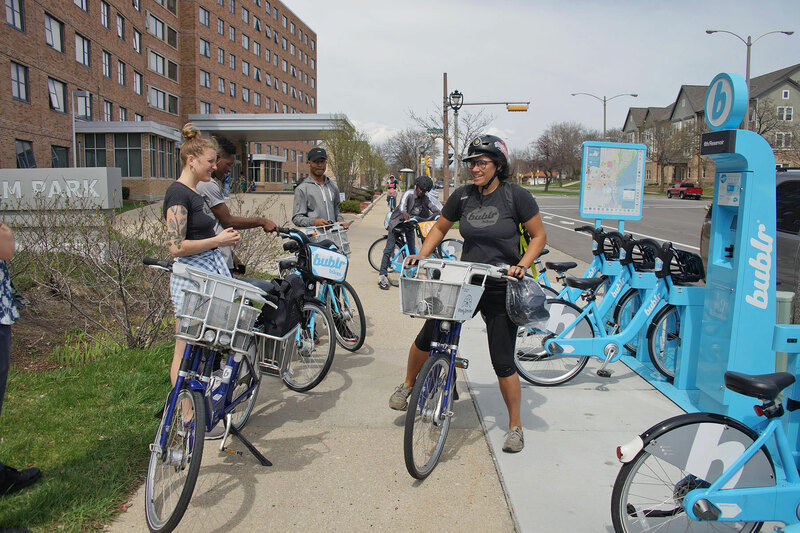 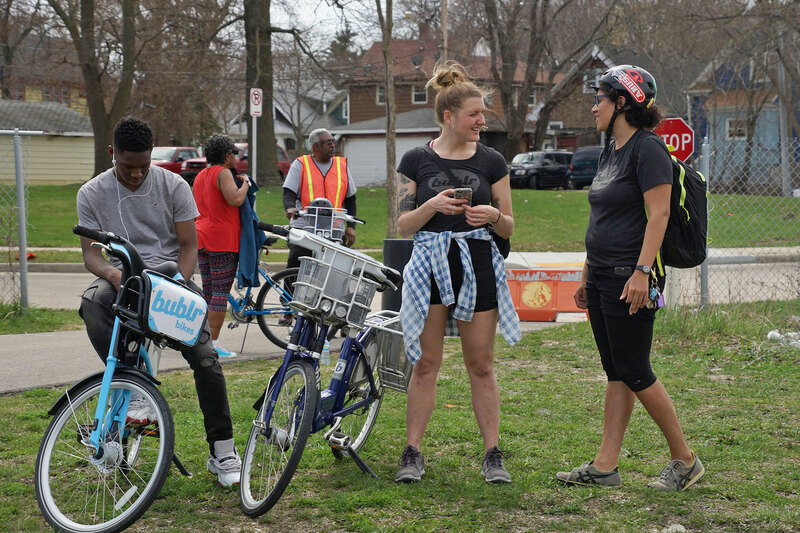 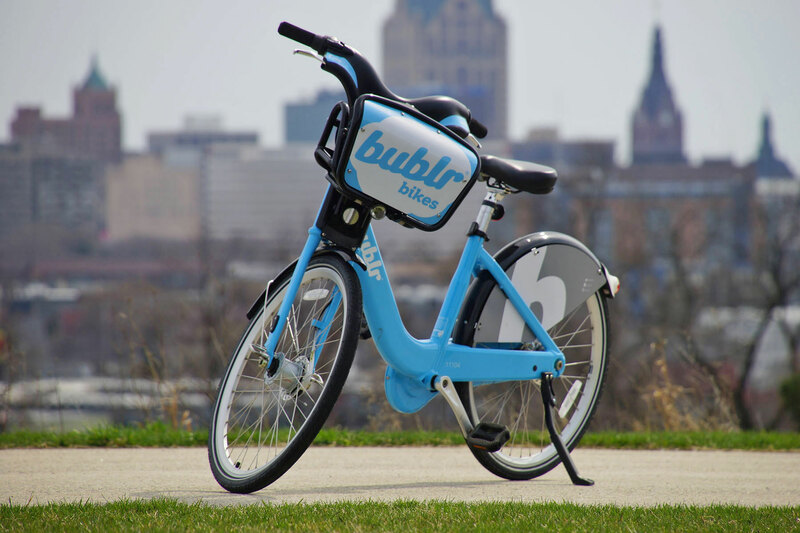 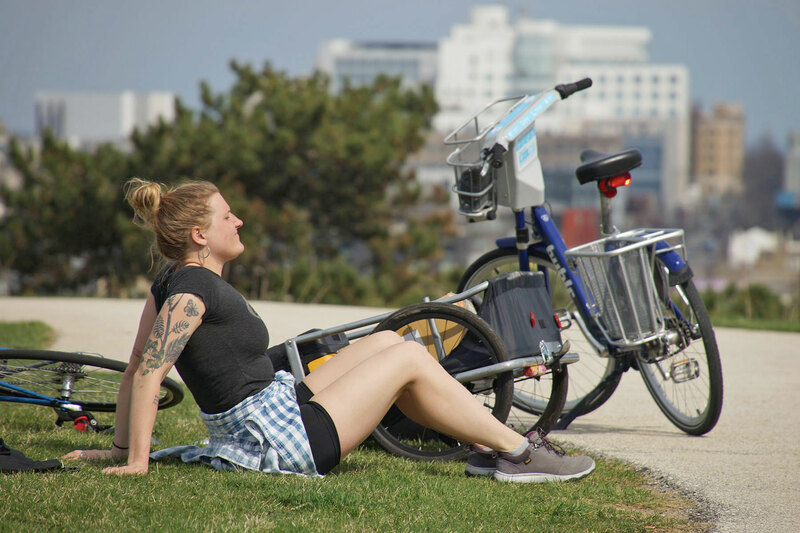 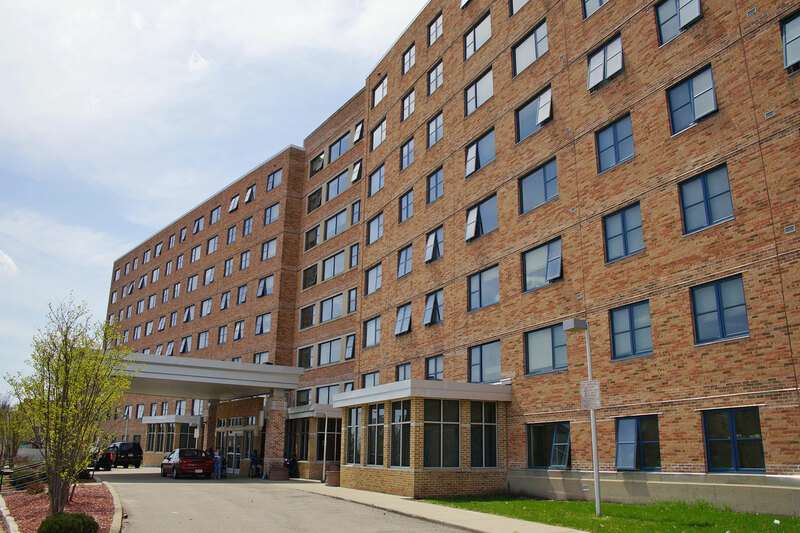 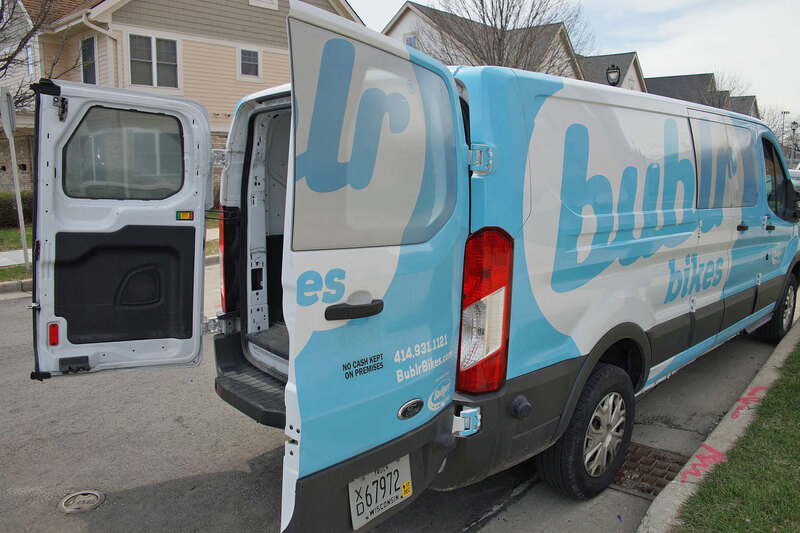 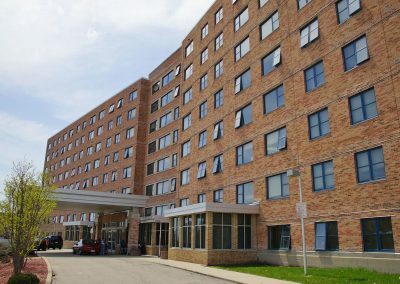 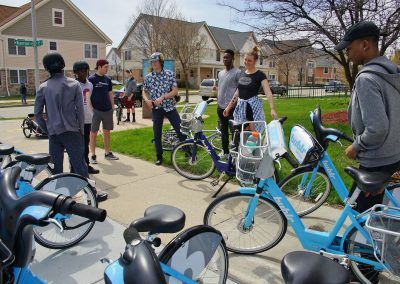 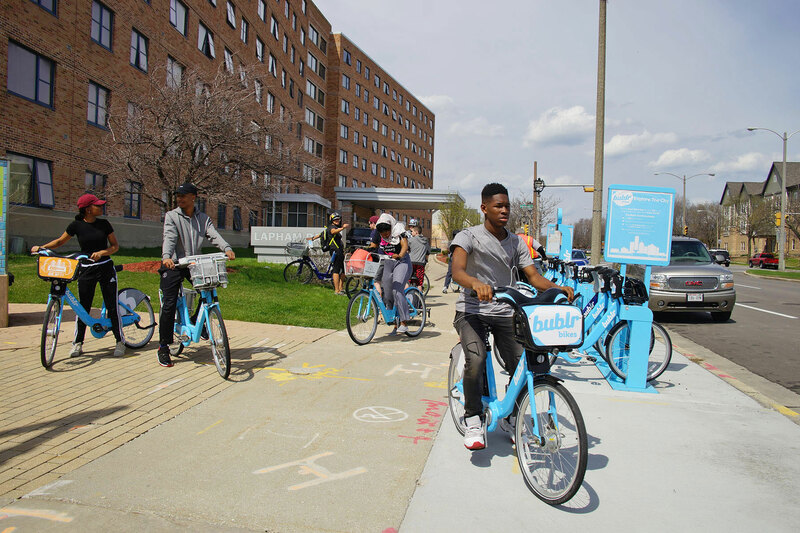 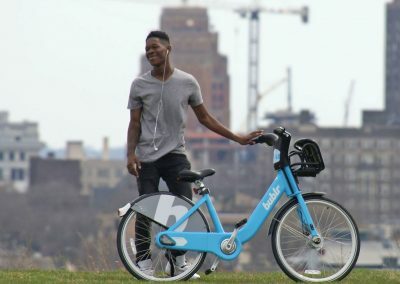 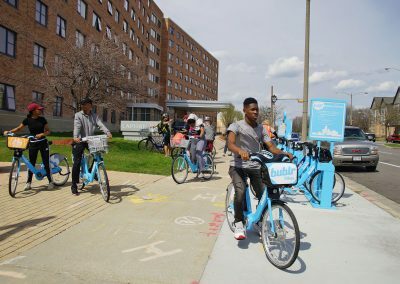 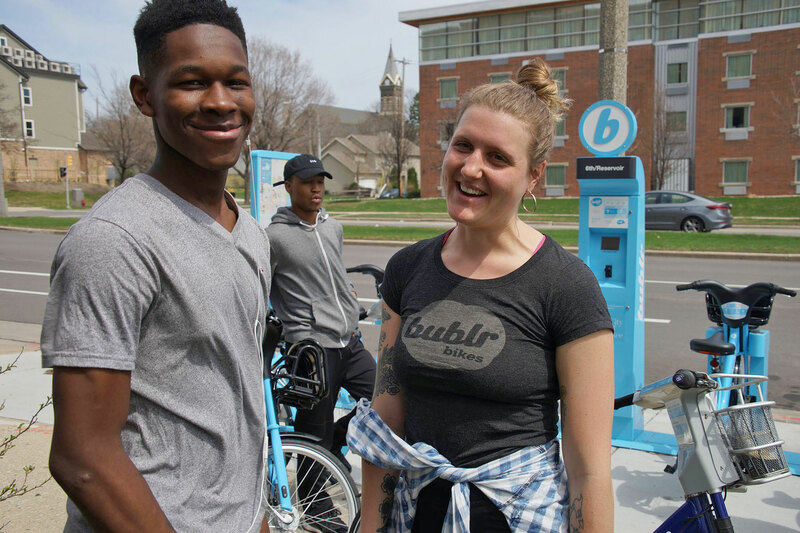 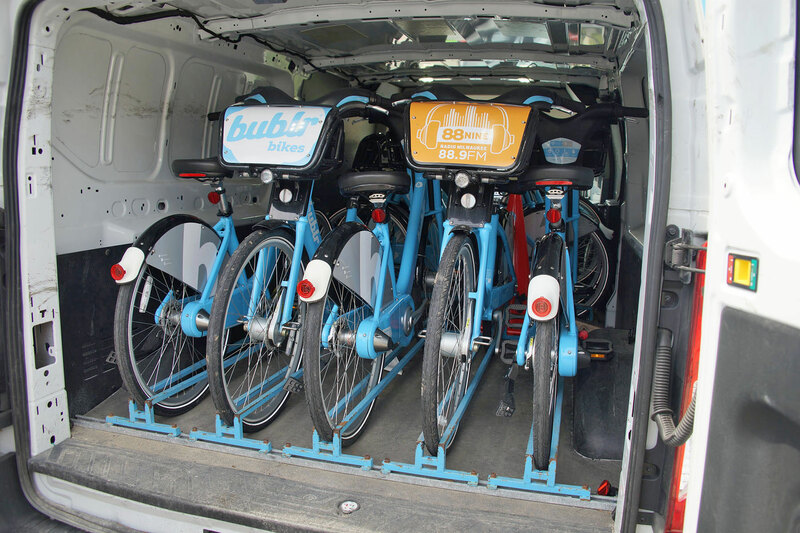 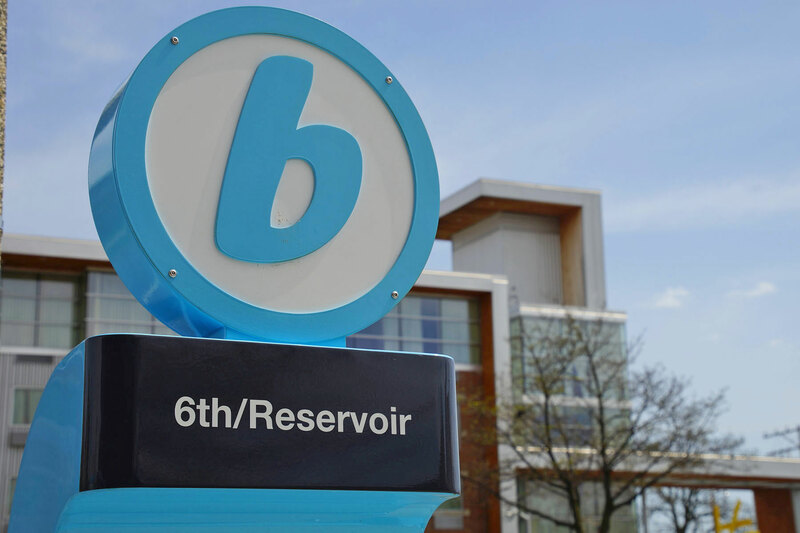 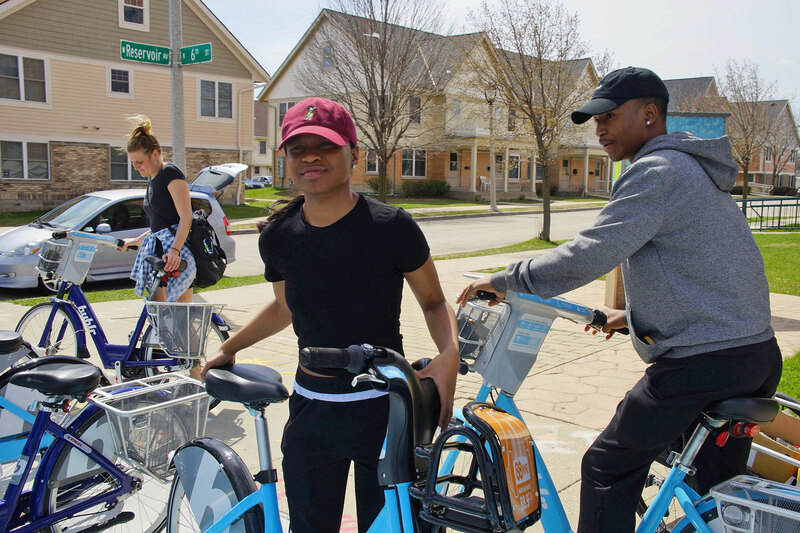 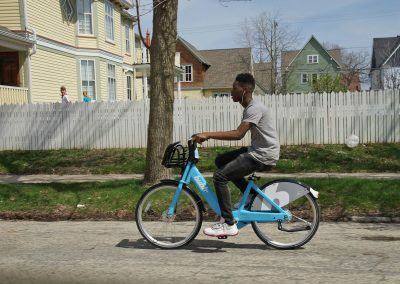 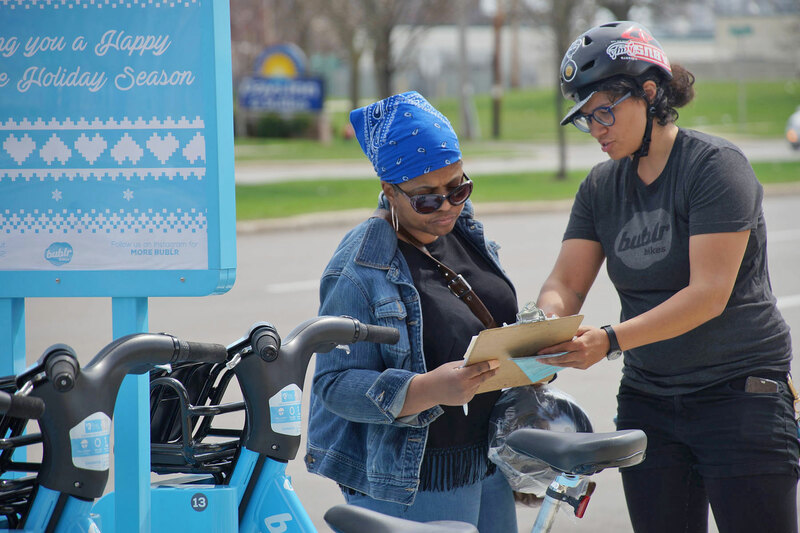 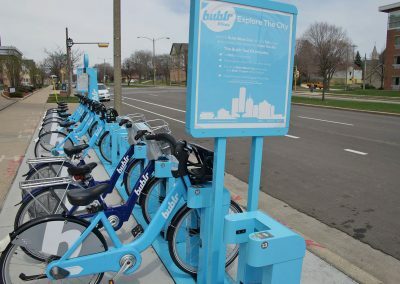 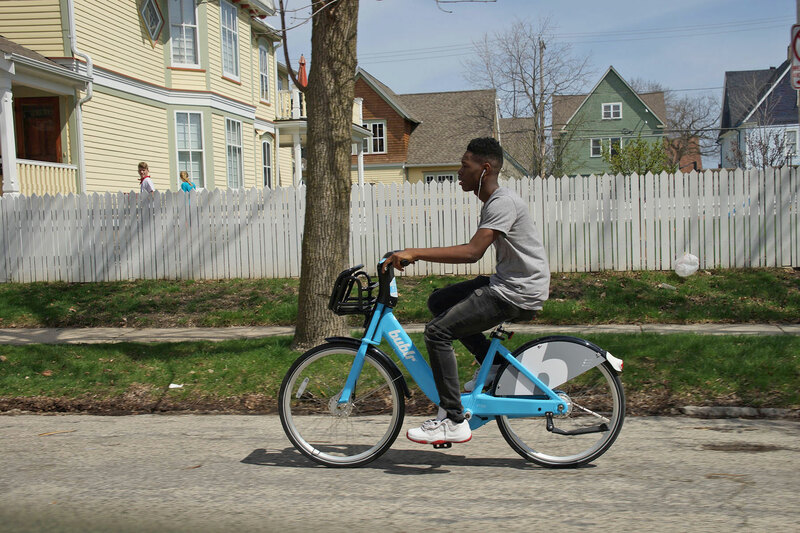 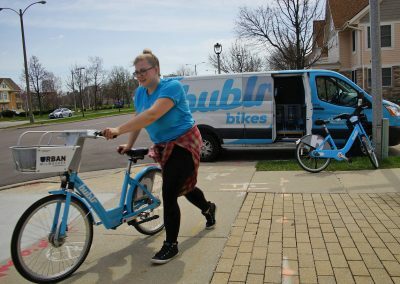 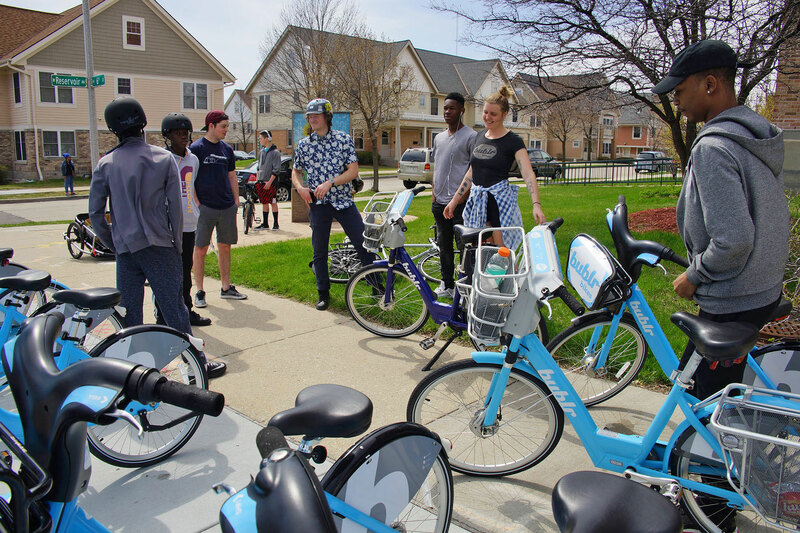 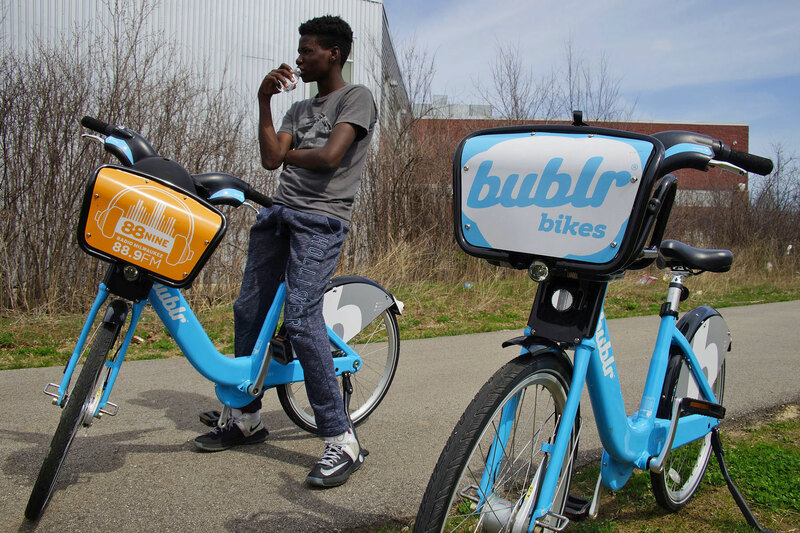 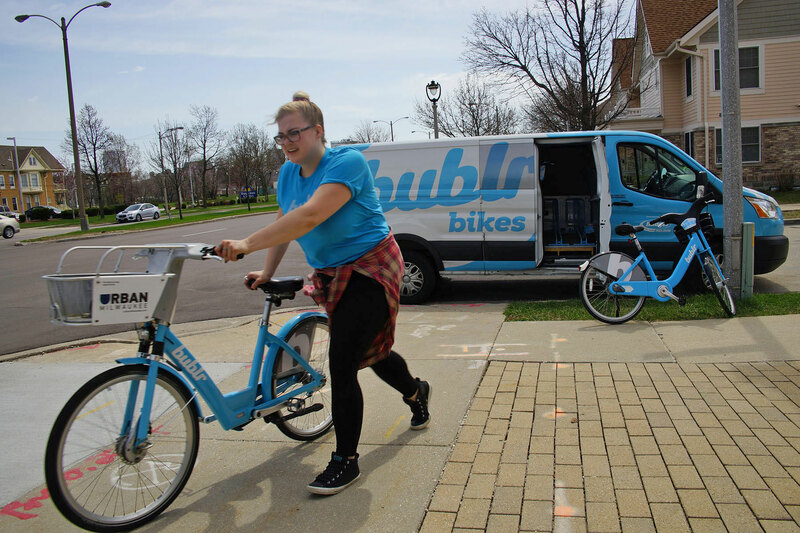 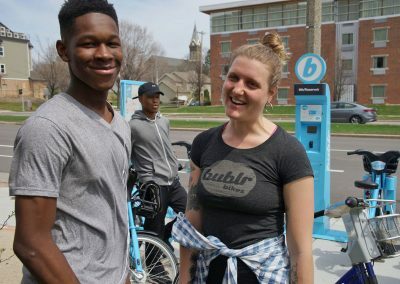 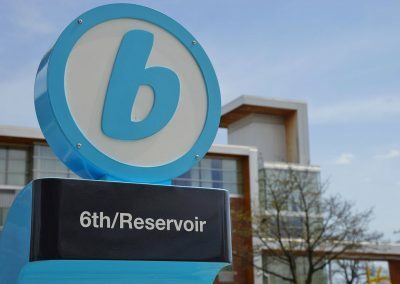 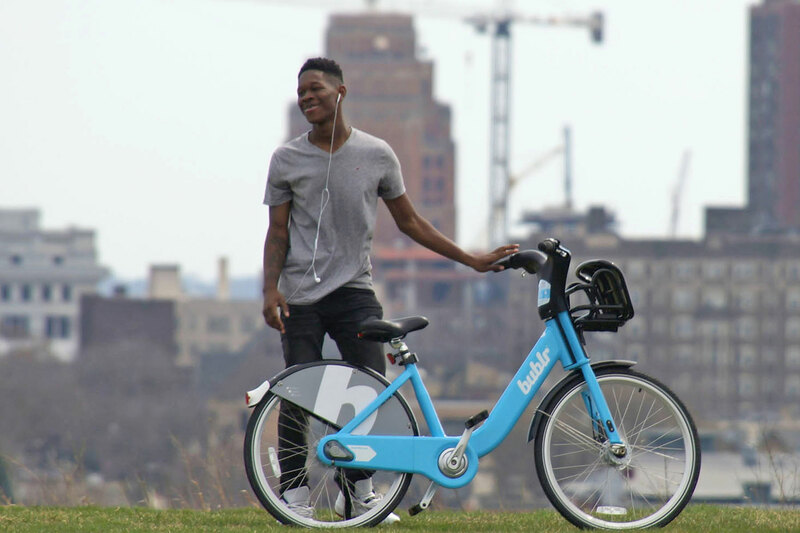 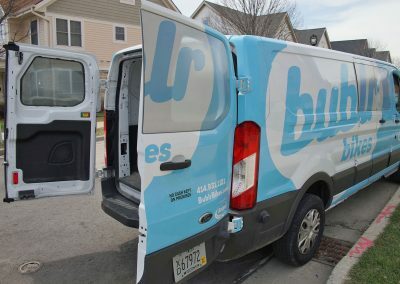 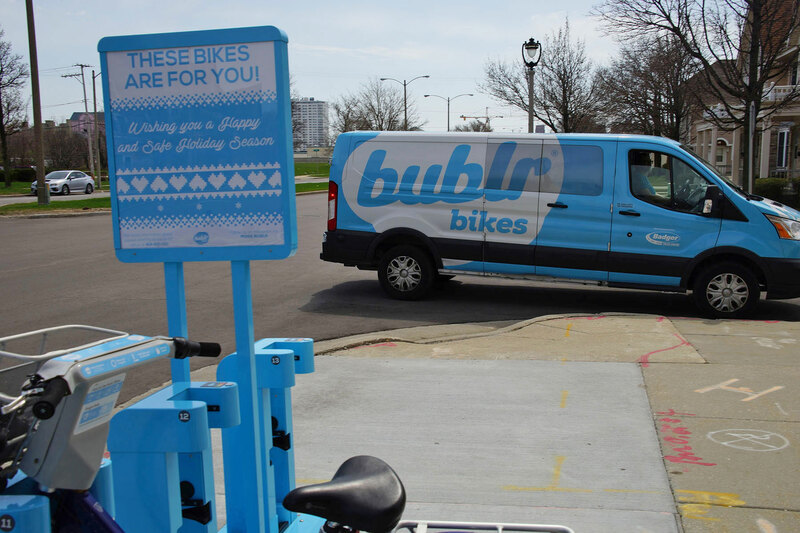 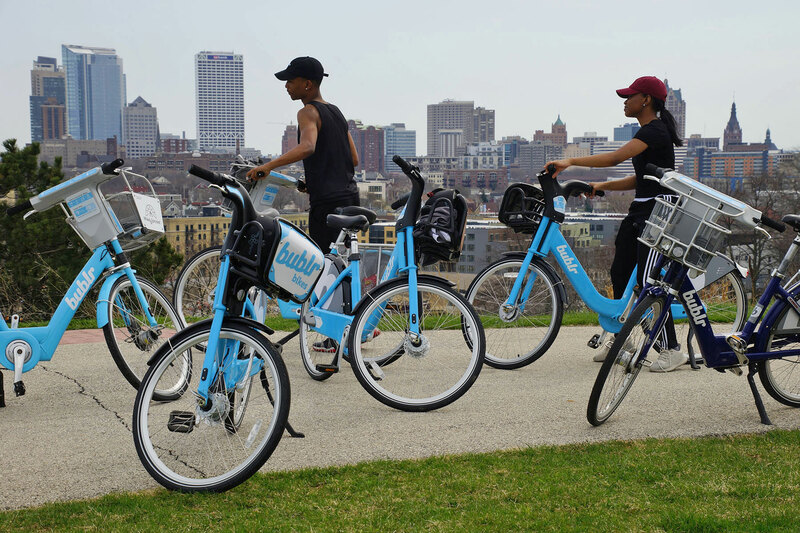 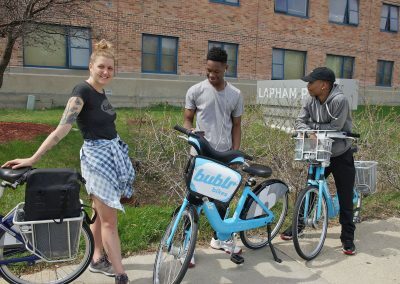 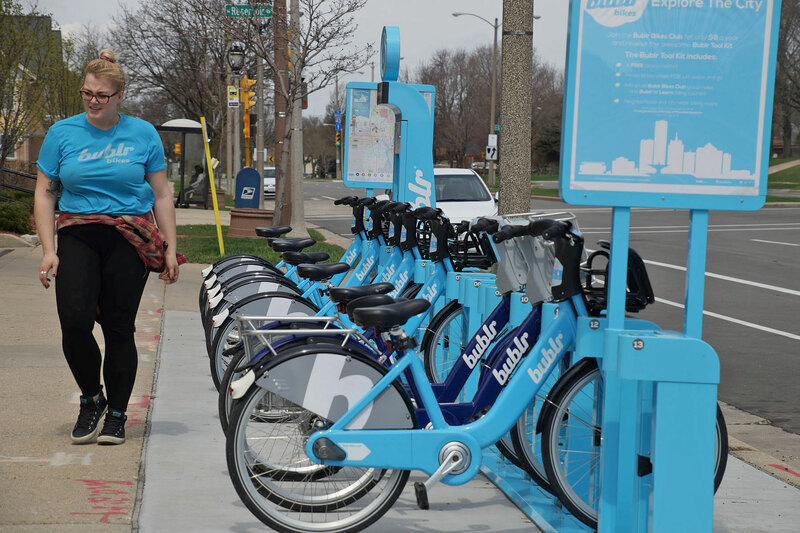 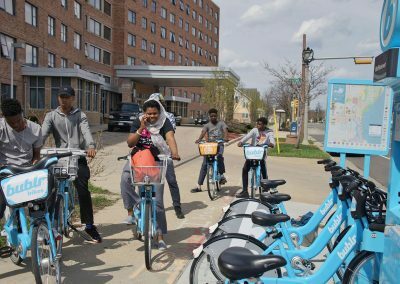 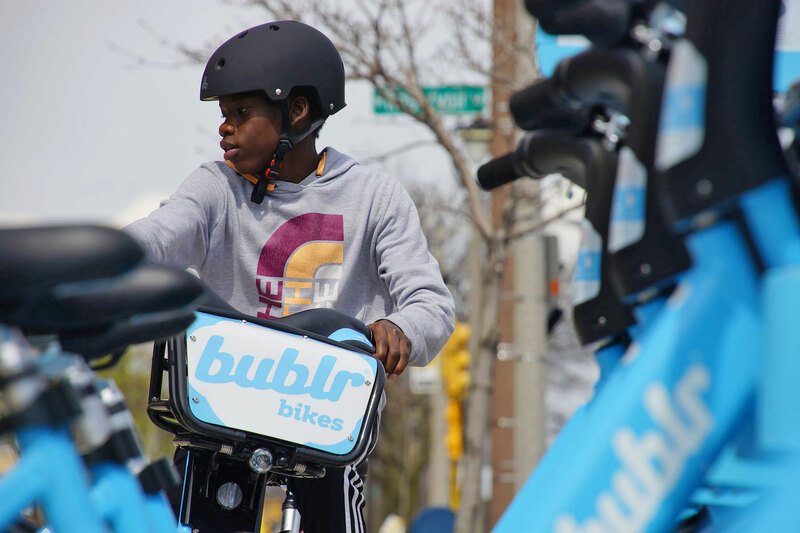 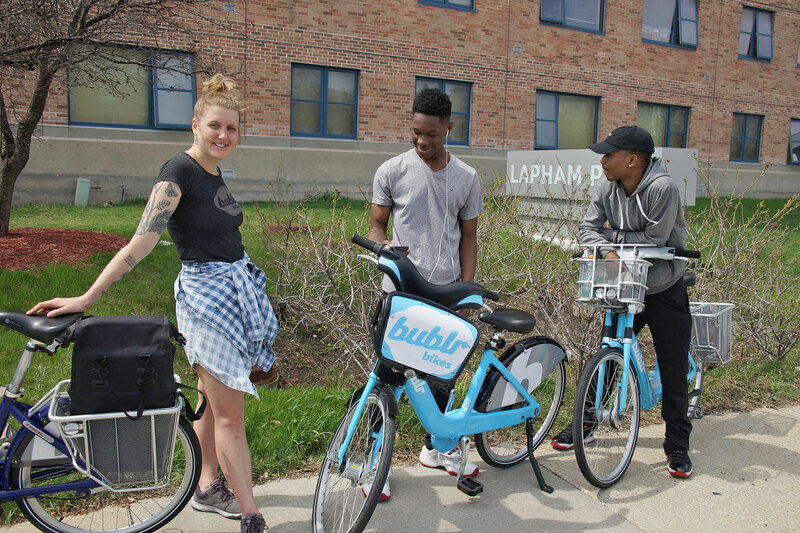 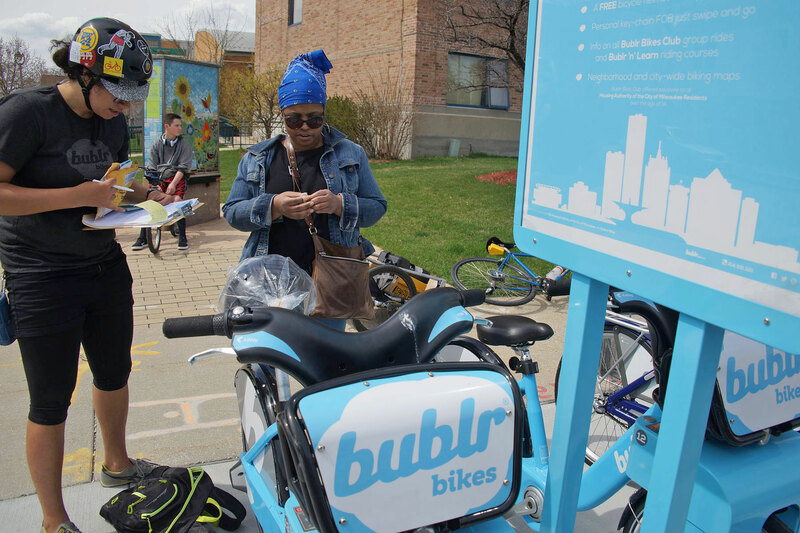 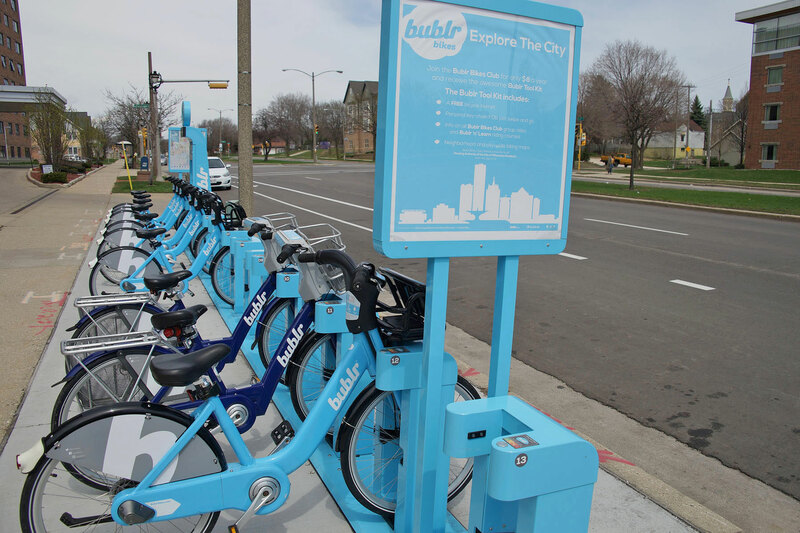 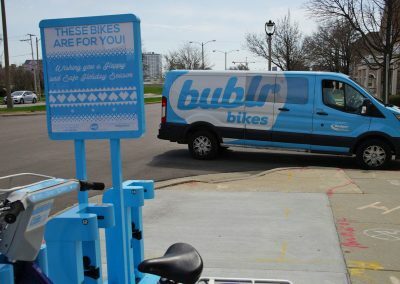 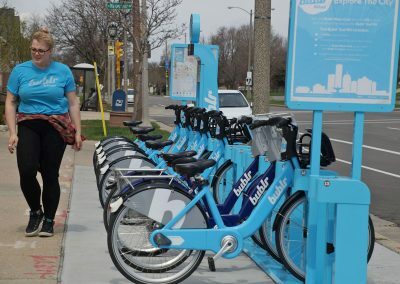 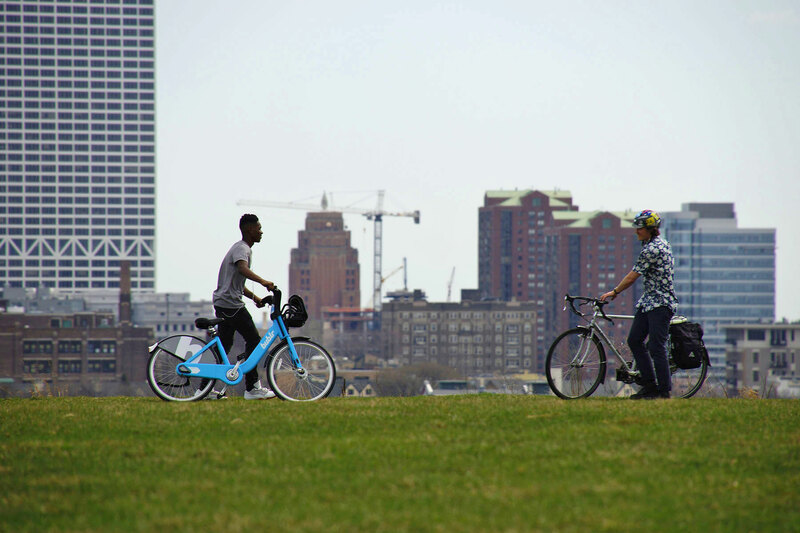 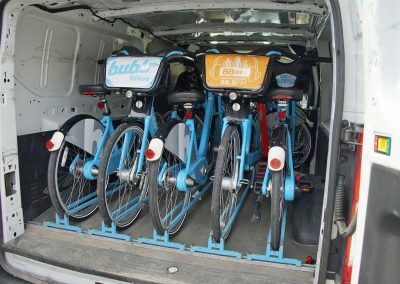 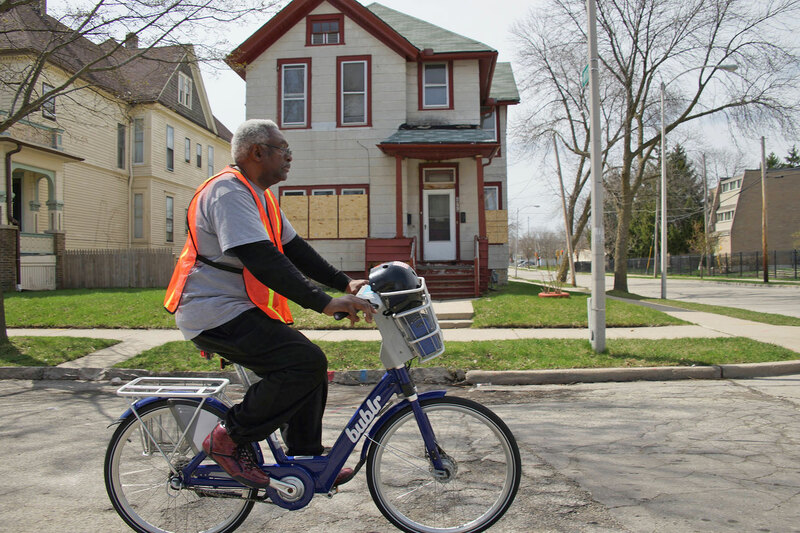 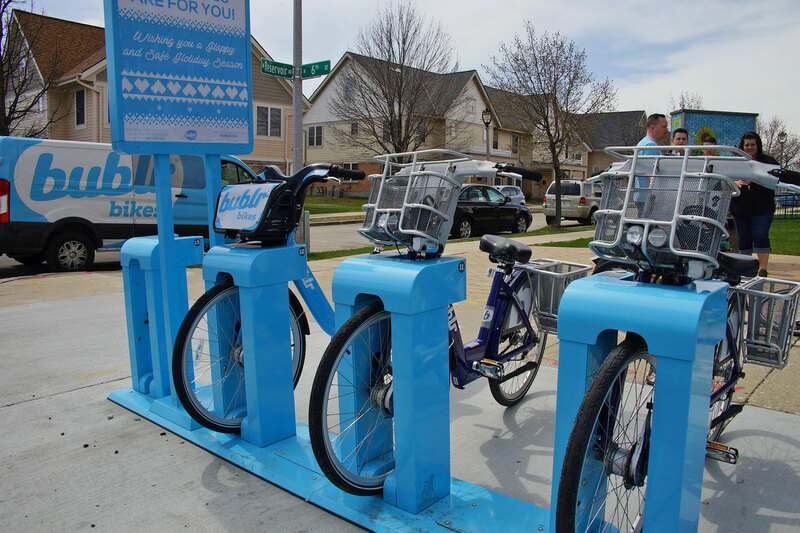 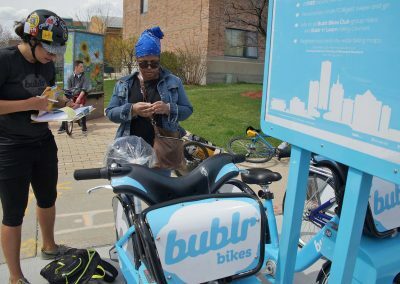 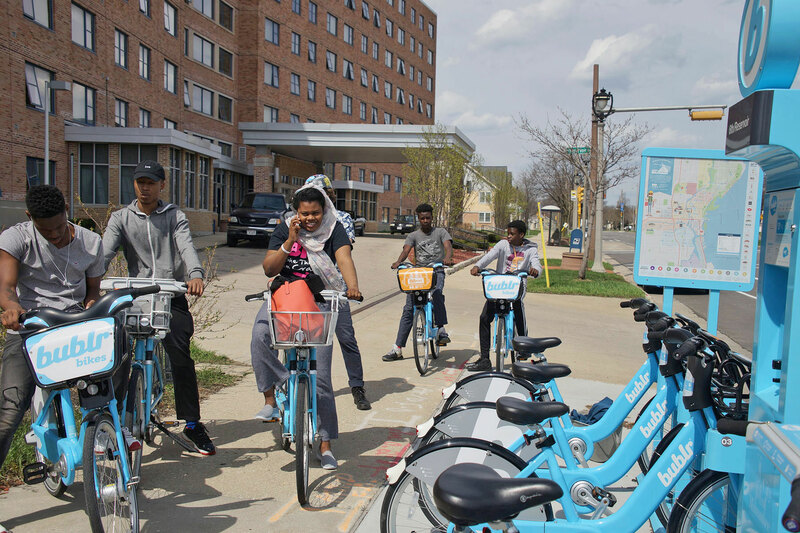 The Housing Authority of the City of Milwaukee (HACM) and Bublr Bikes have worked together since July 2016 to provide assistance, encouragement, and public events to promote the use of bike share within and around HACM’s Townhomes at Carver Park and Hillside neighborhoods. 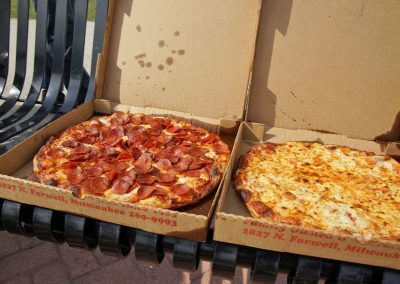 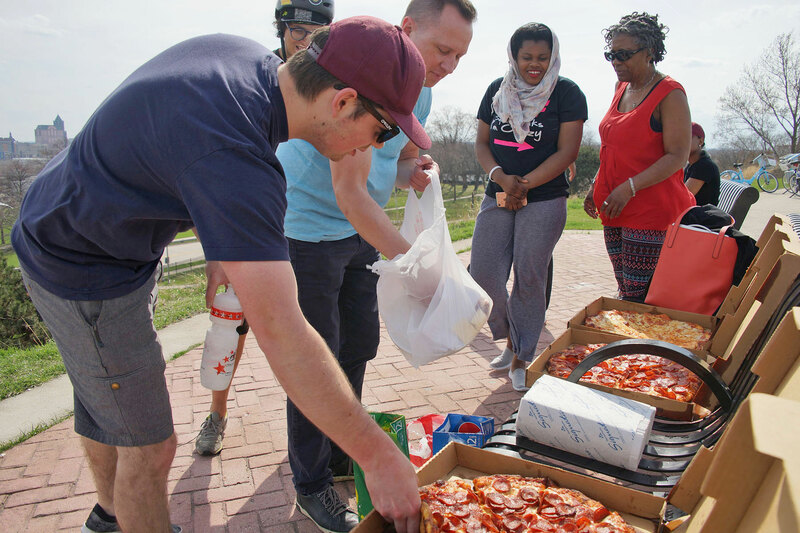 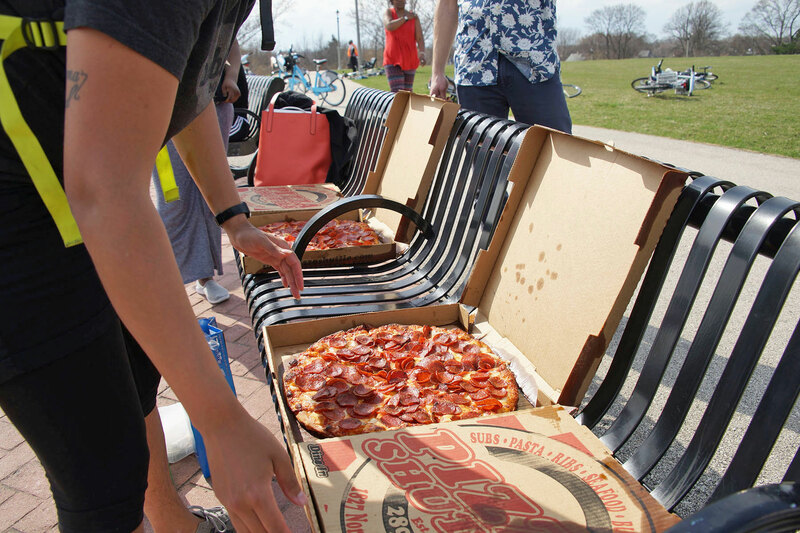 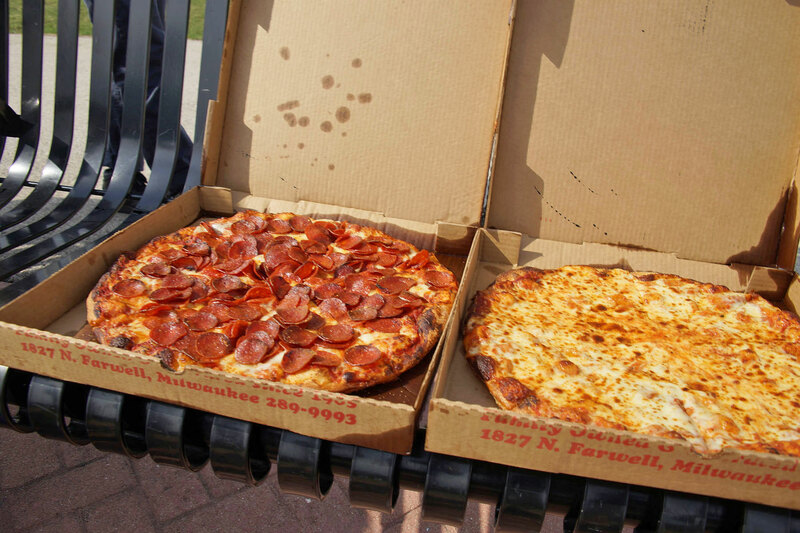 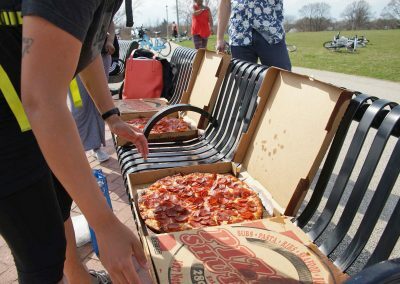 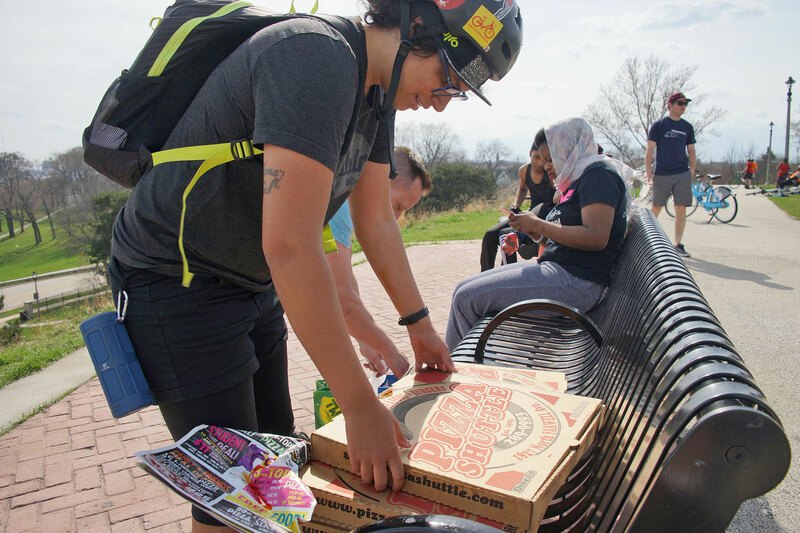 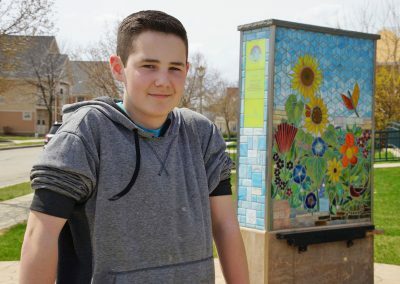 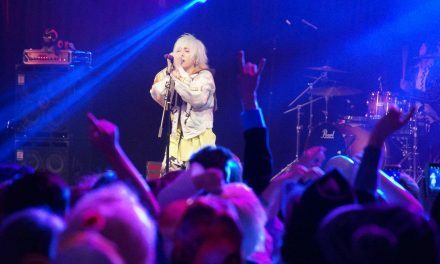 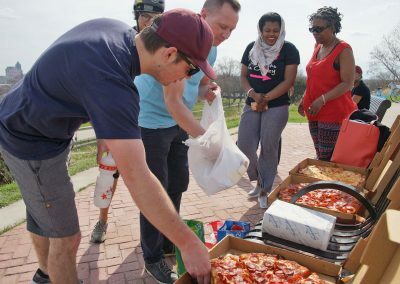 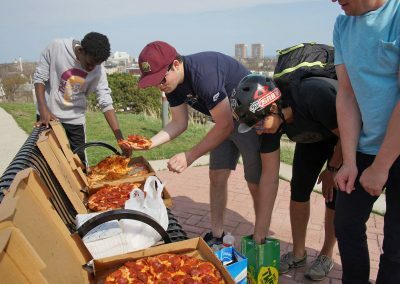 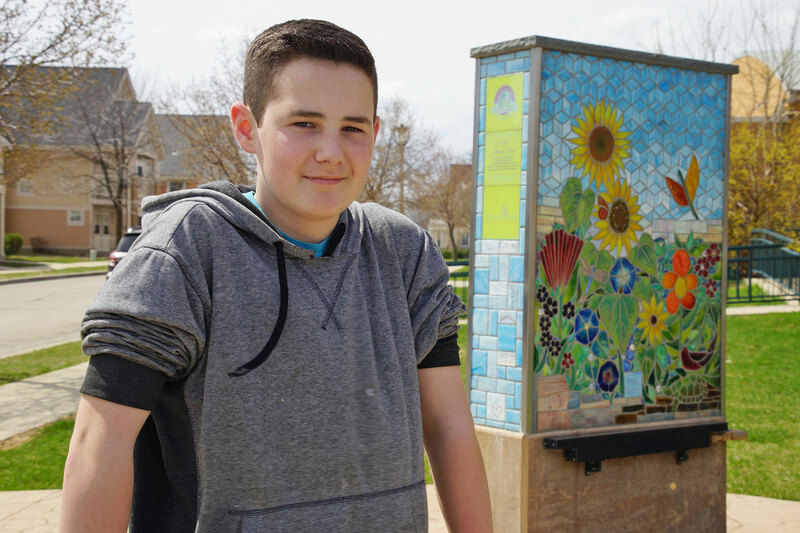 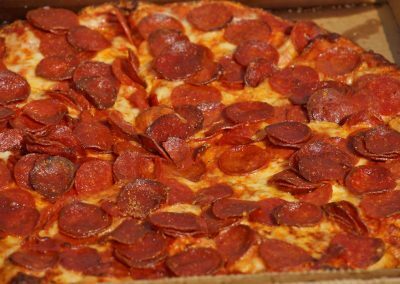 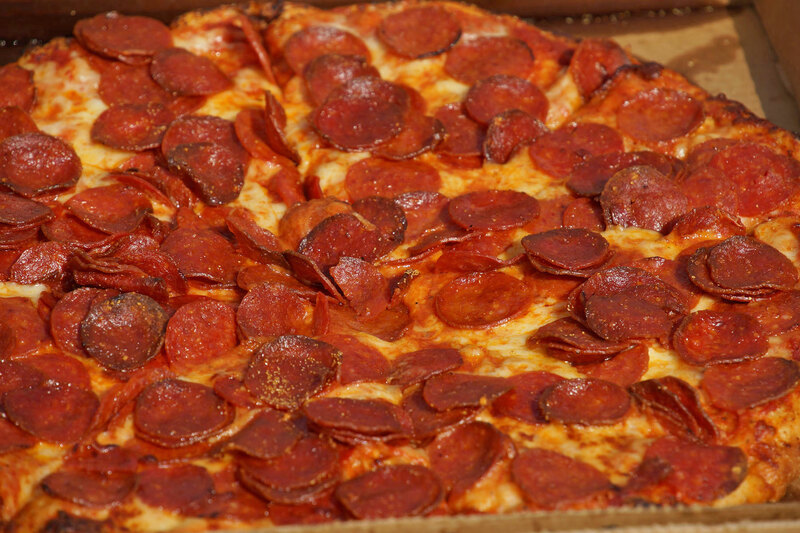 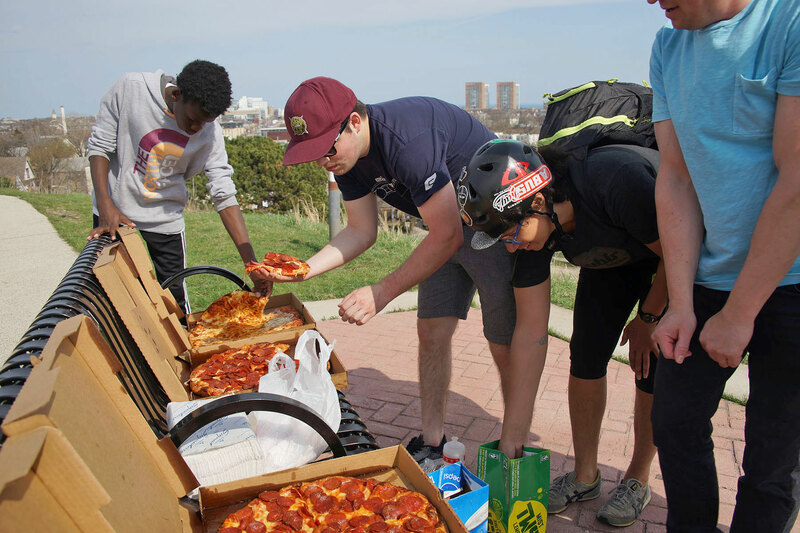 The “Pedalroni” Ride, so named because organizers added a pizza party to the outreach effort, was part of the youth-centered program’s focus. 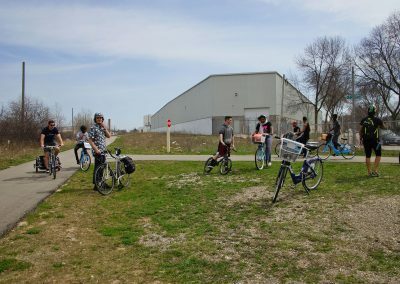 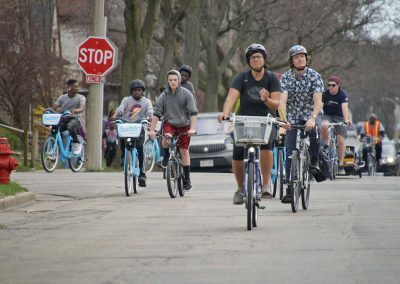 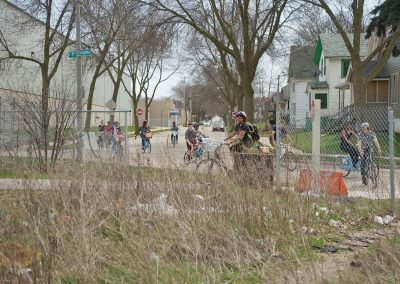 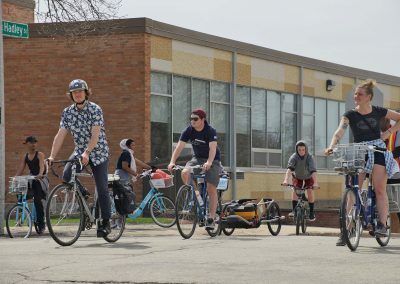 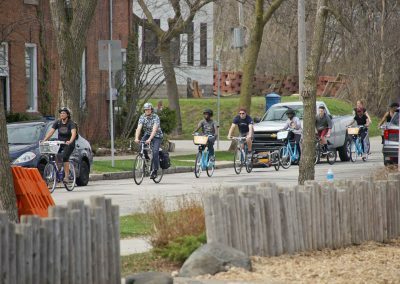 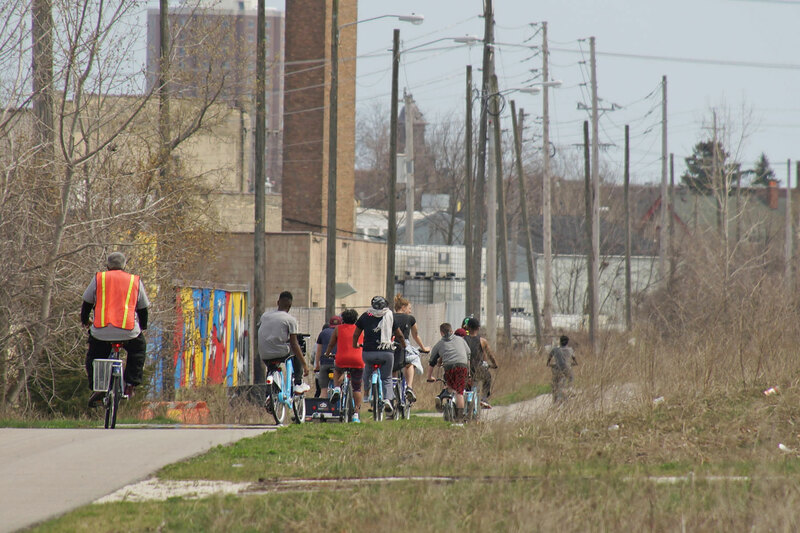 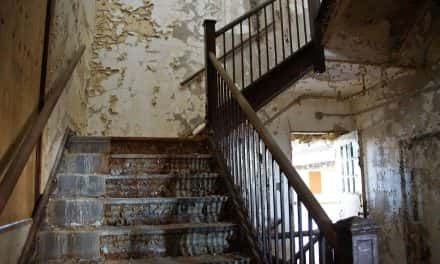 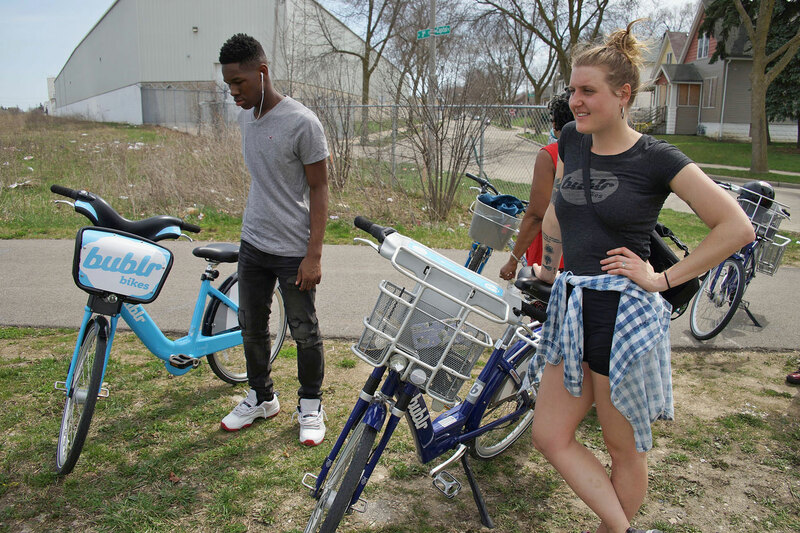 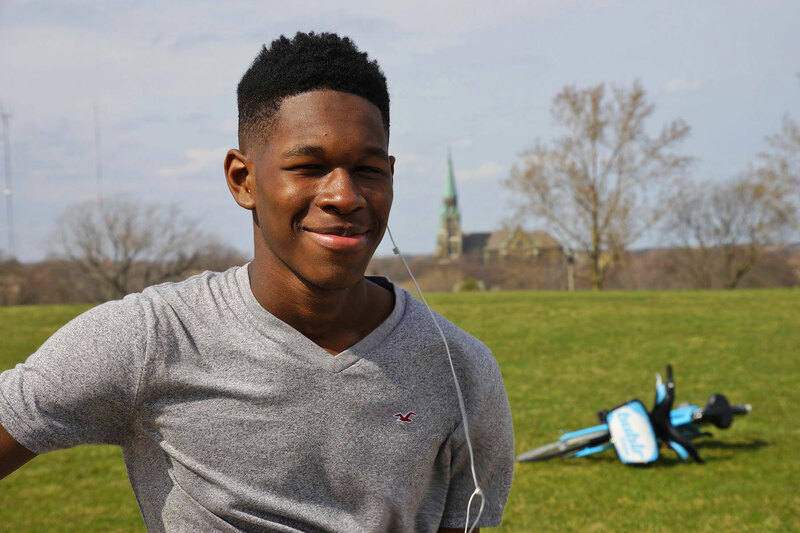 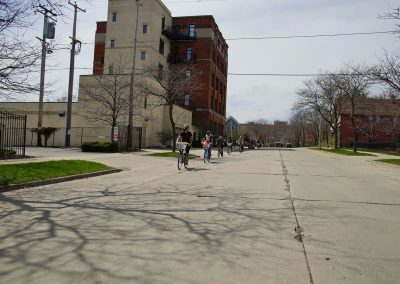 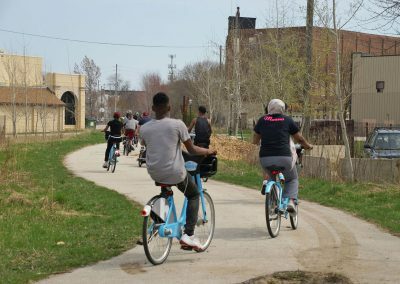 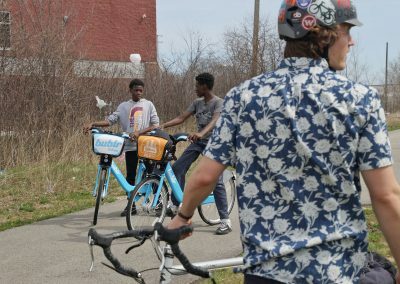 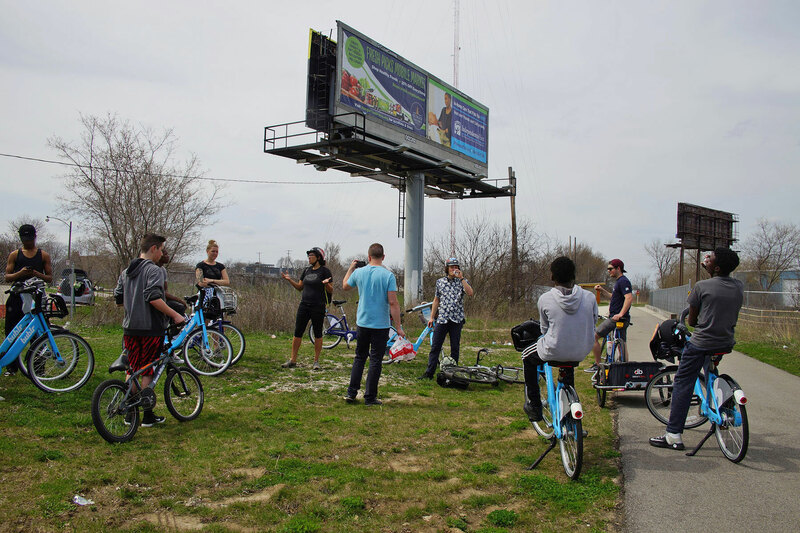 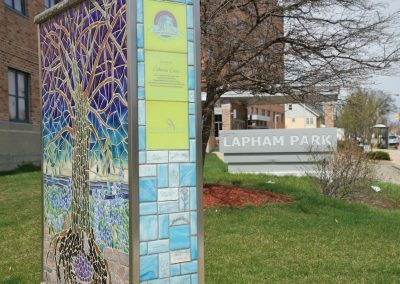 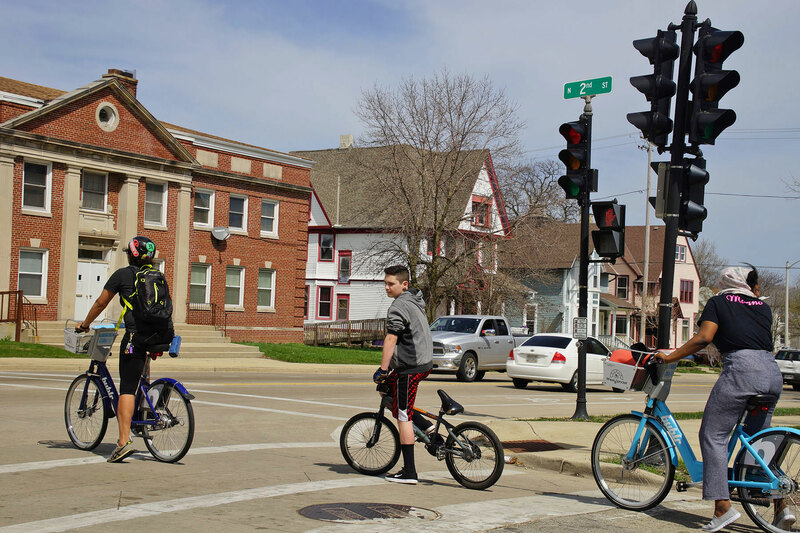 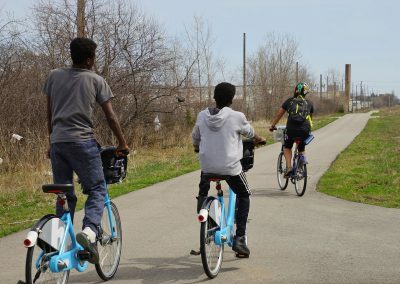 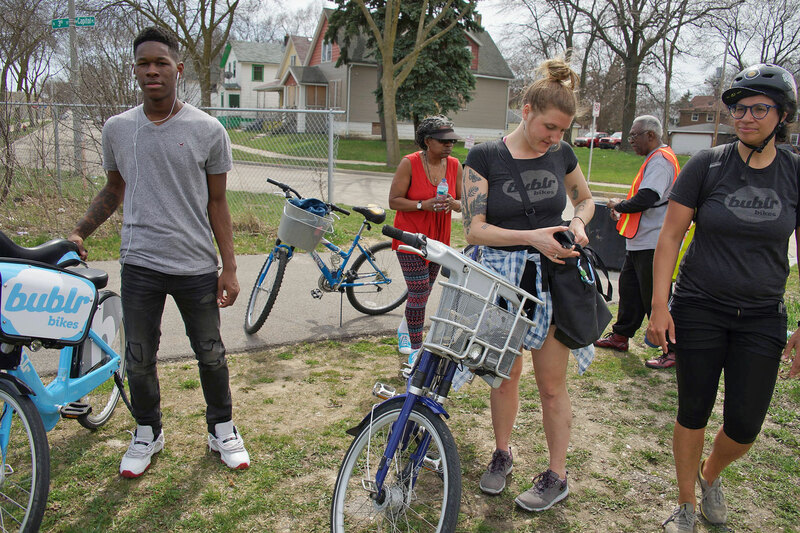 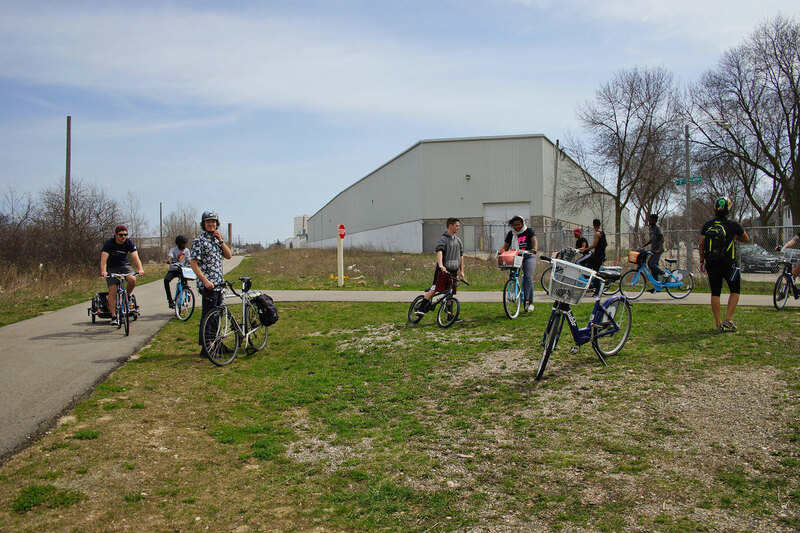 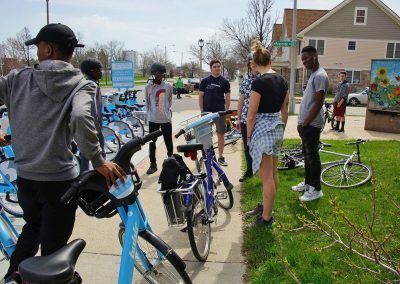 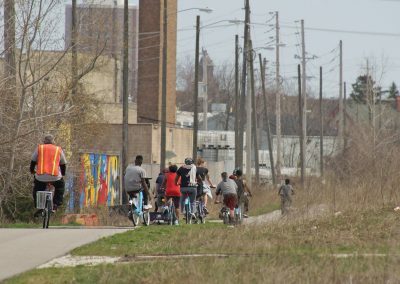 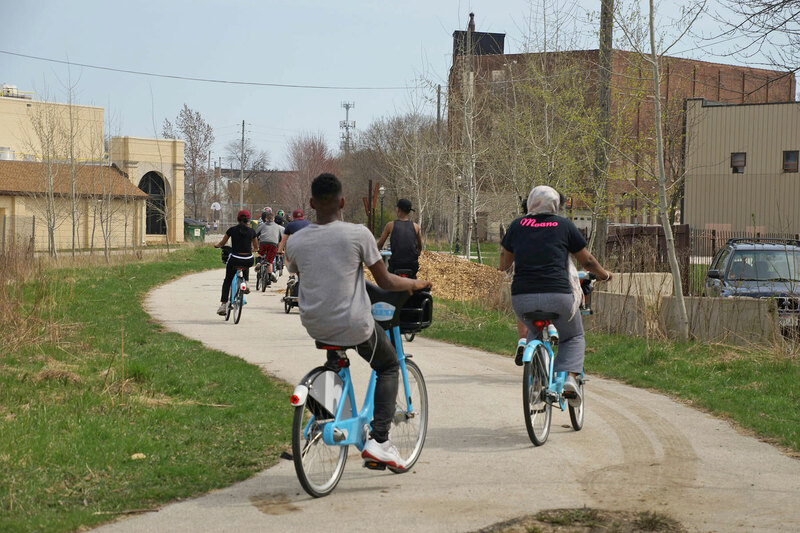 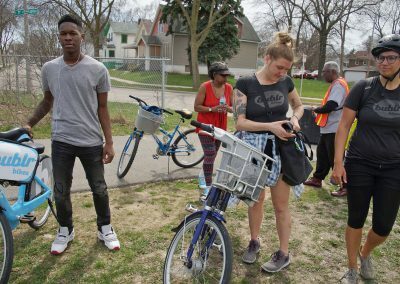 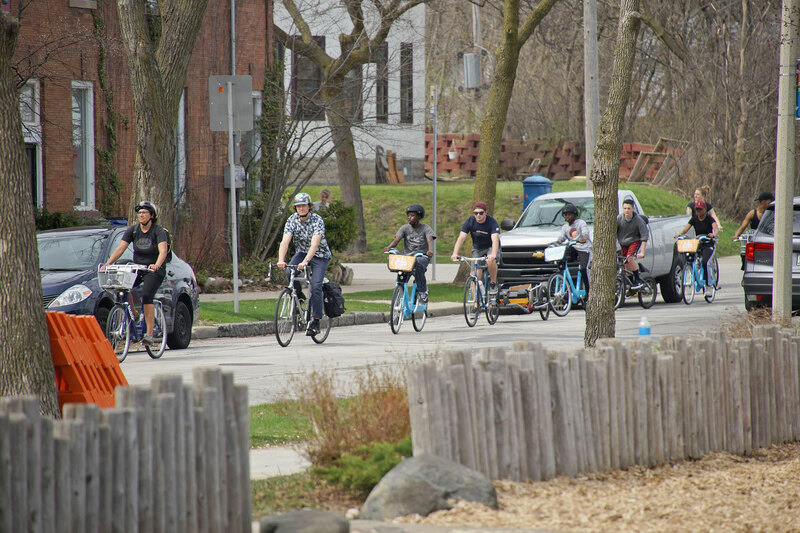 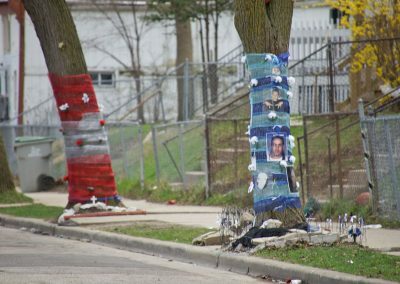 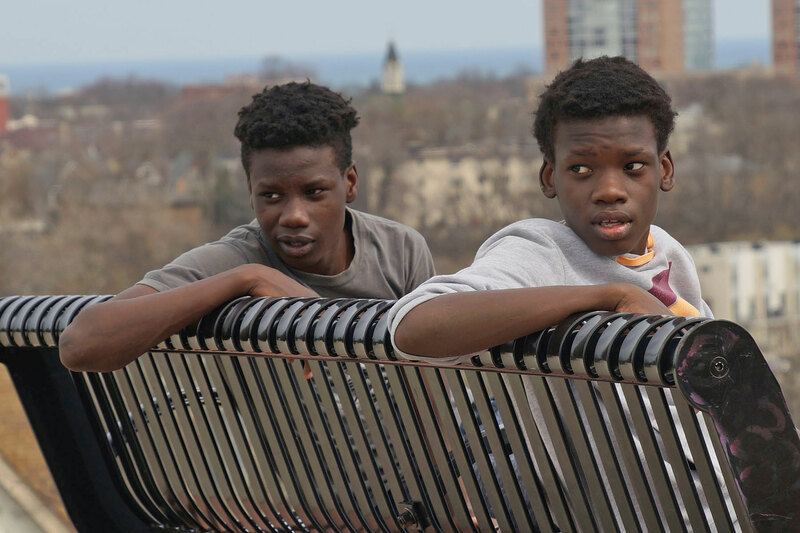 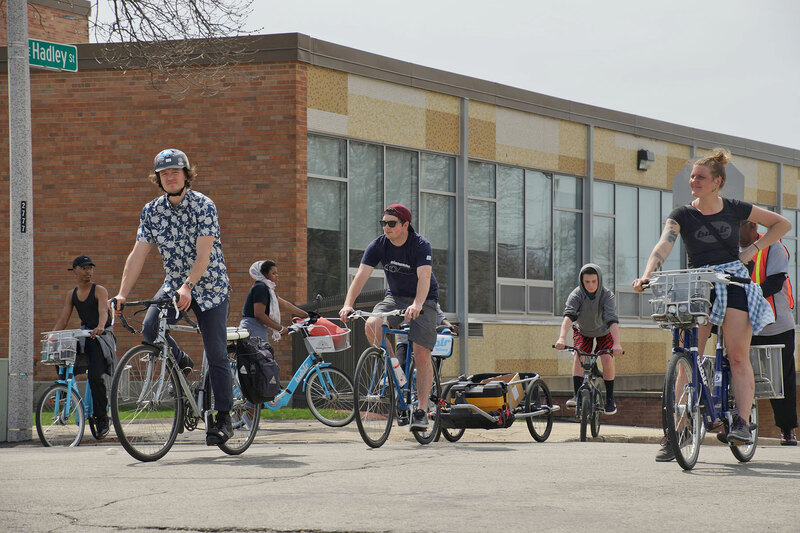 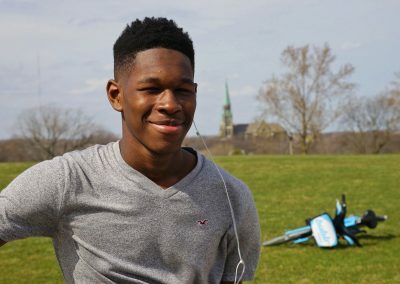 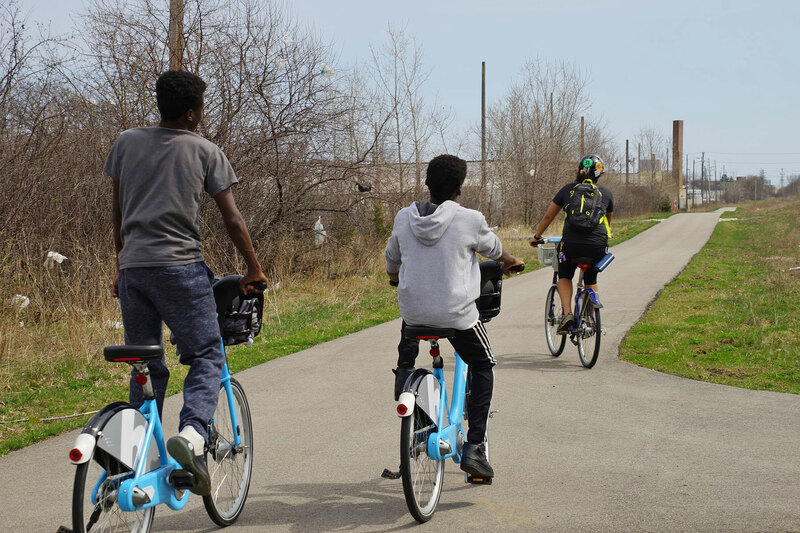 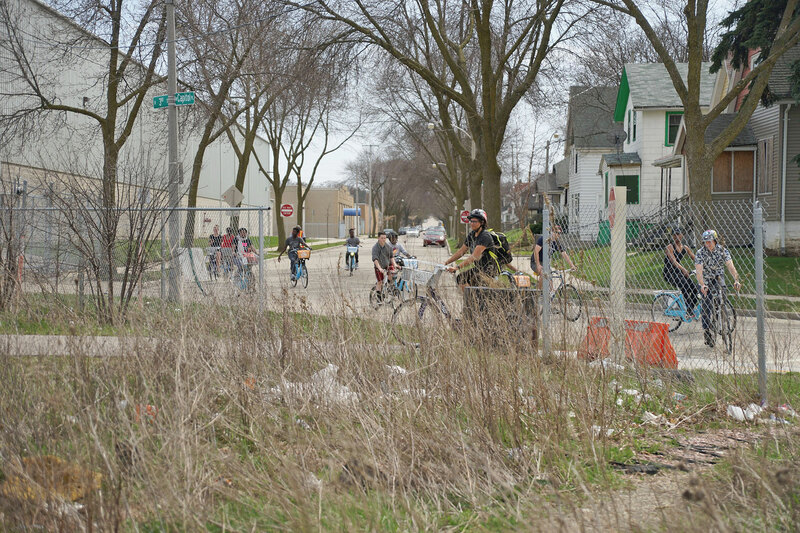 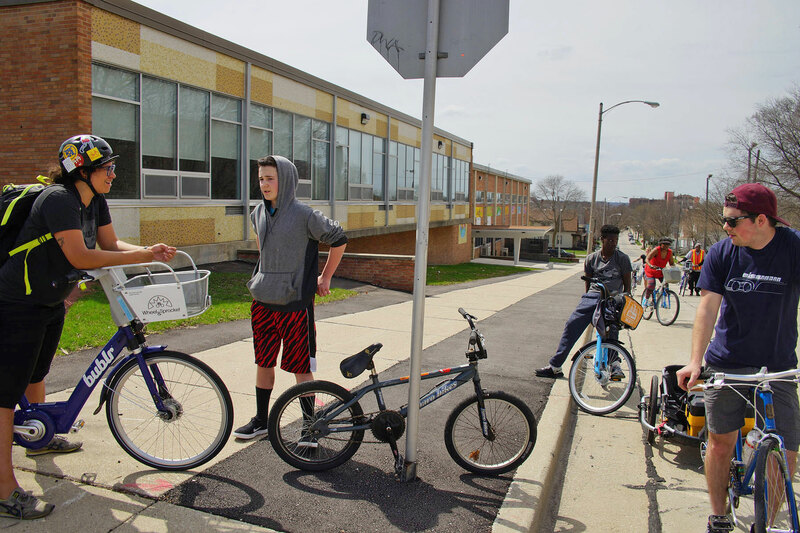 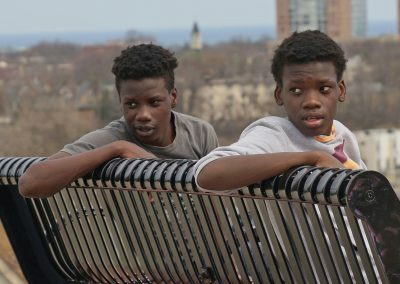 A dozen teens rode nearly 6 miles from Reservoir Avenue and 6th Street through the Beerline trail and Riverwest to Kilbourn Reservoir Park. 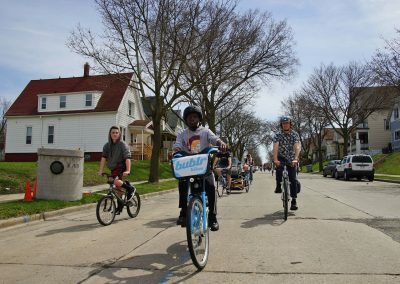 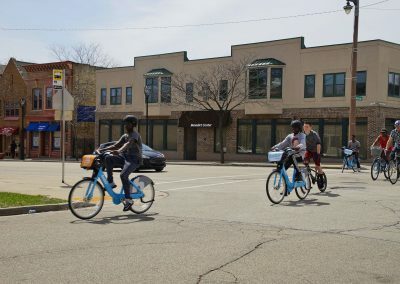 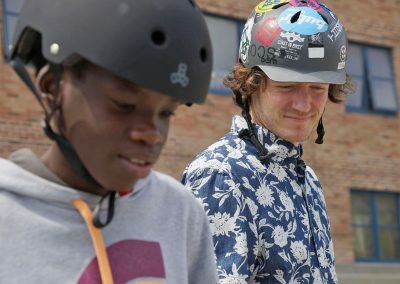 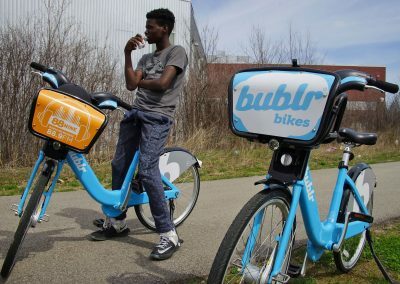 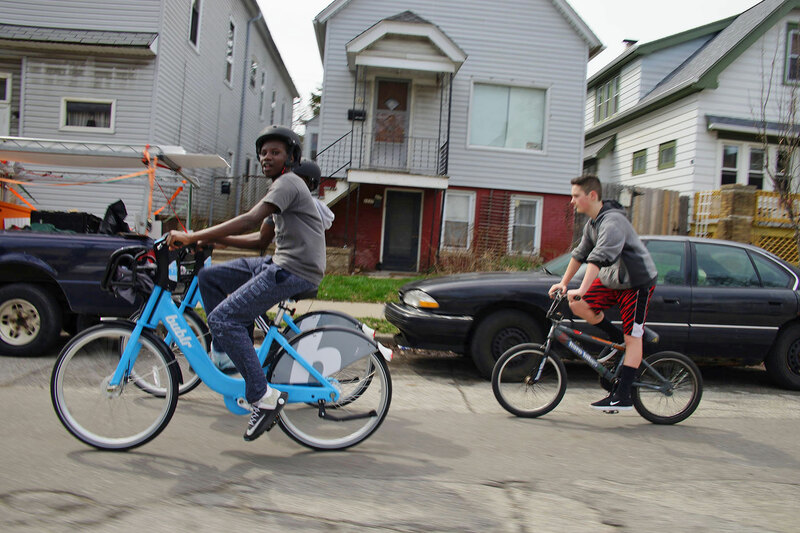 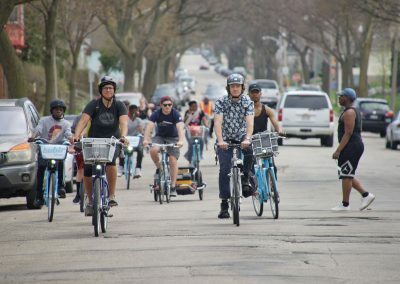 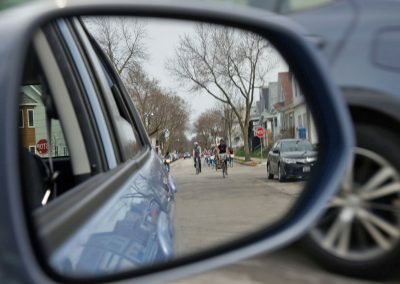 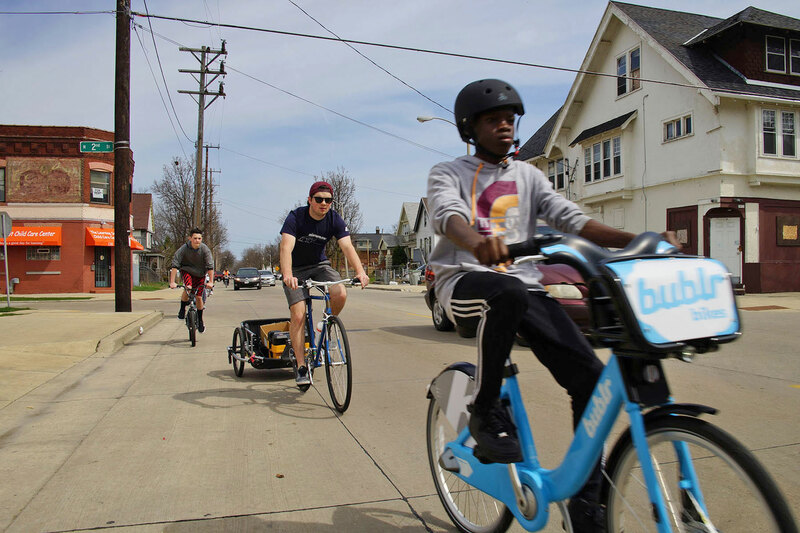 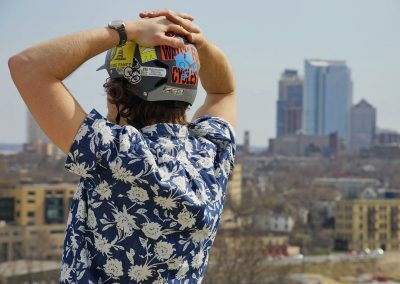 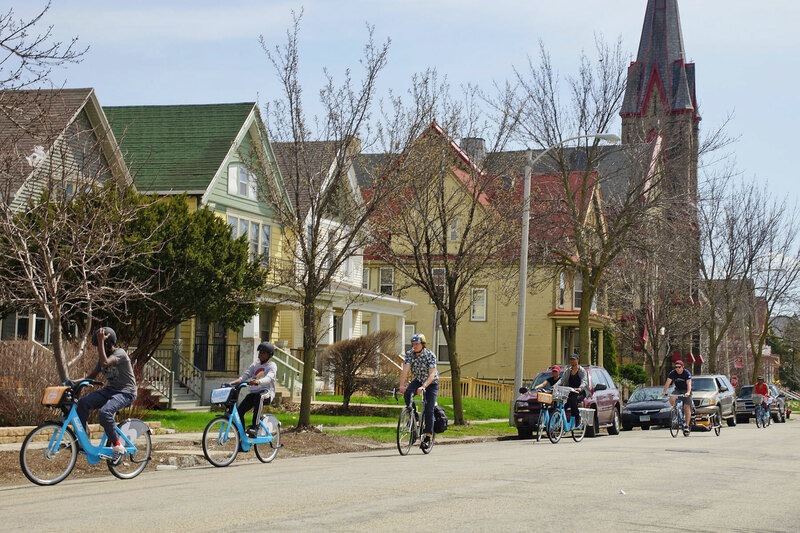 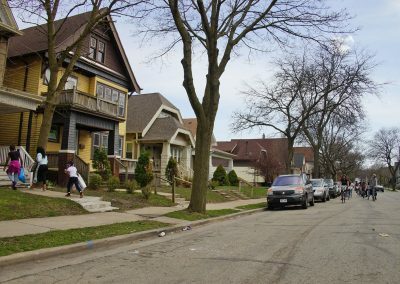 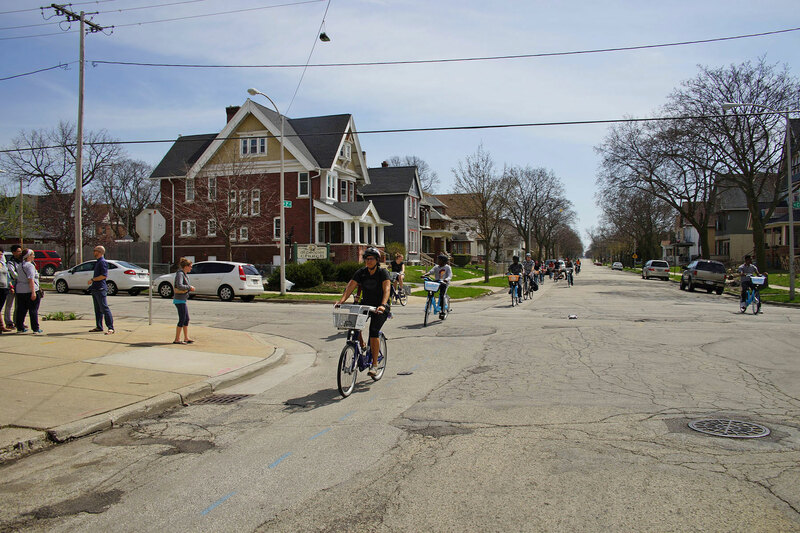 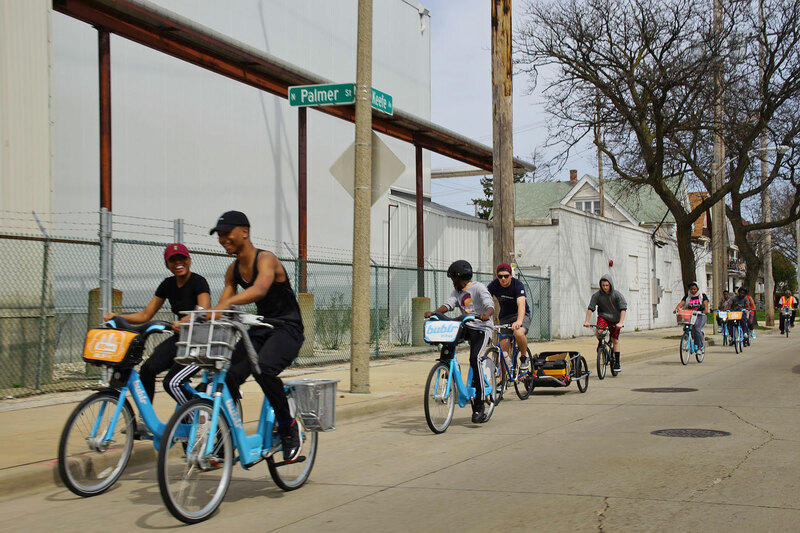 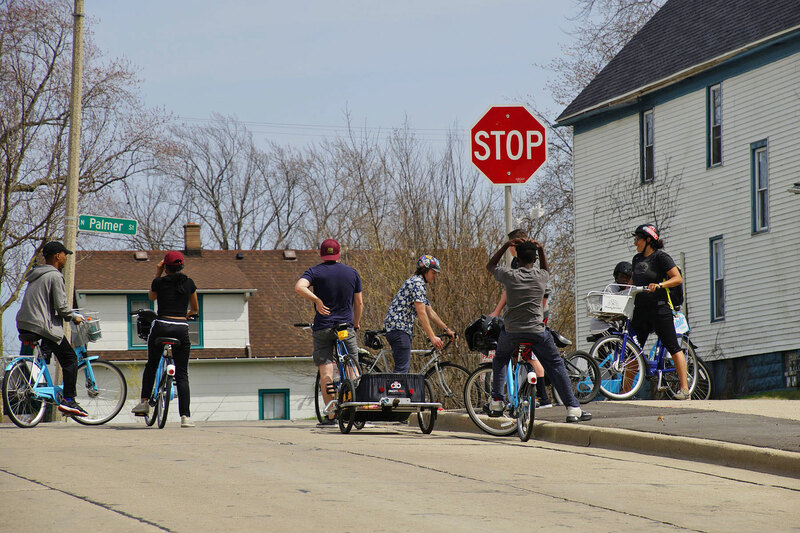 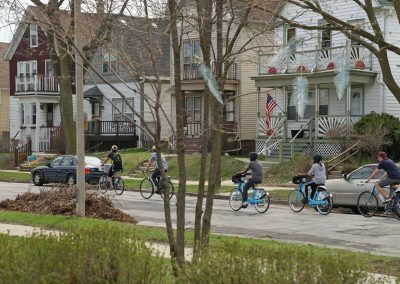 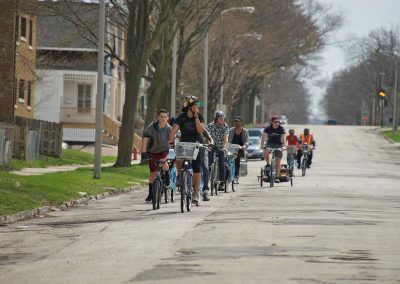 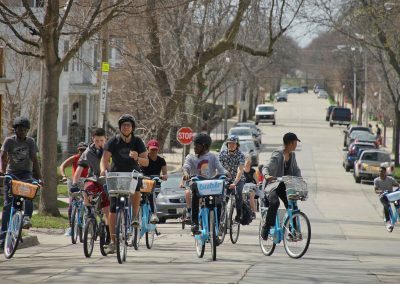 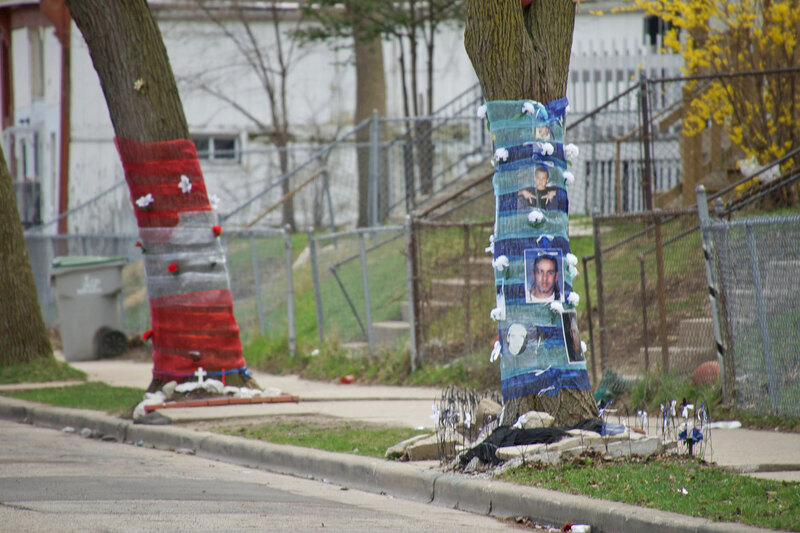 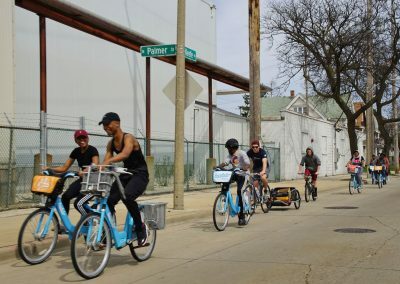 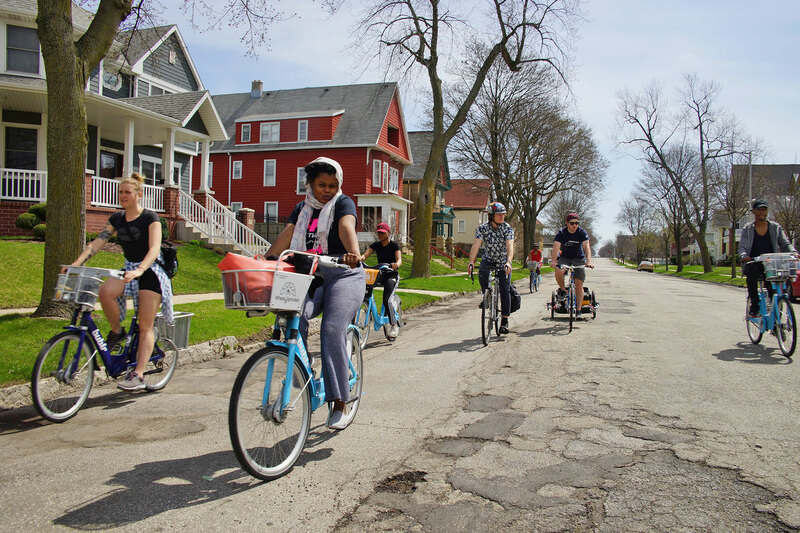 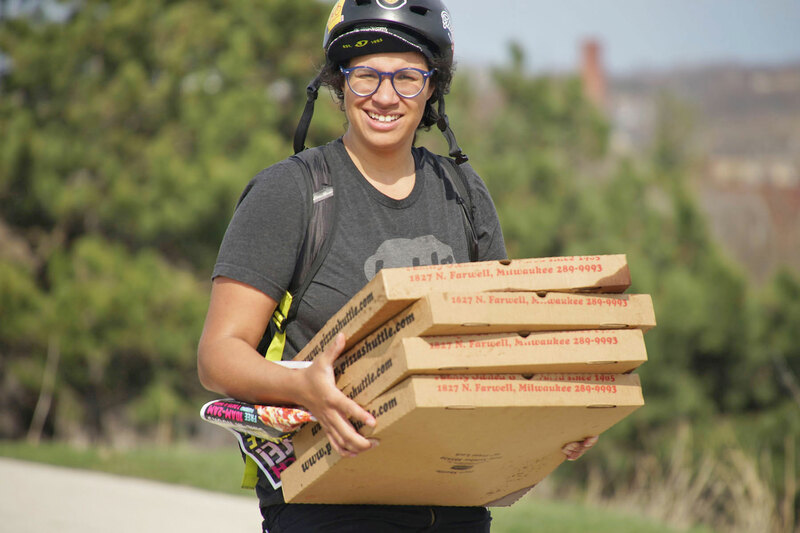 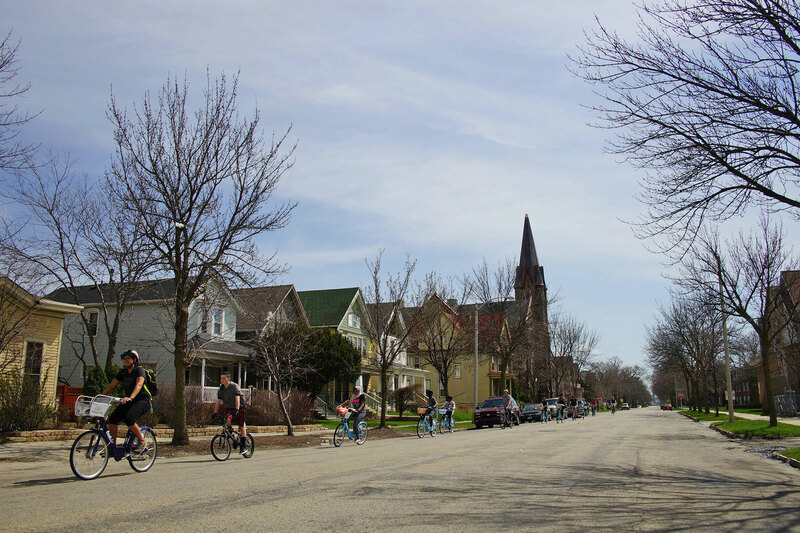 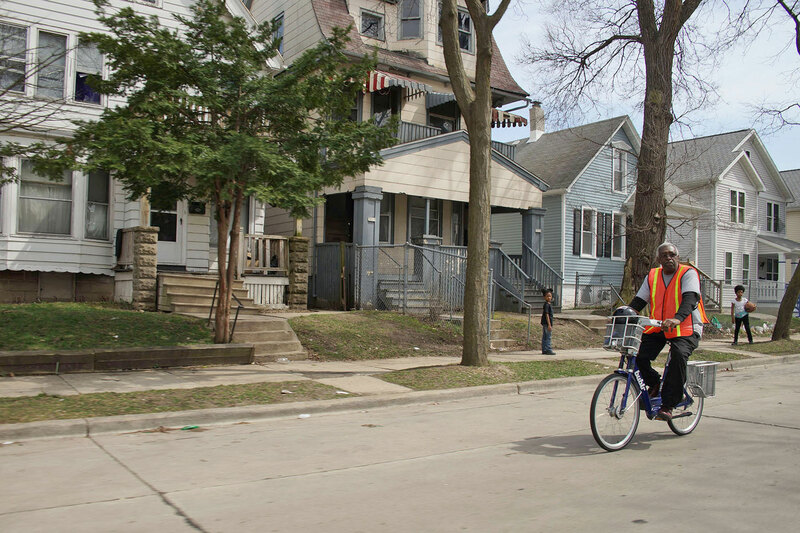 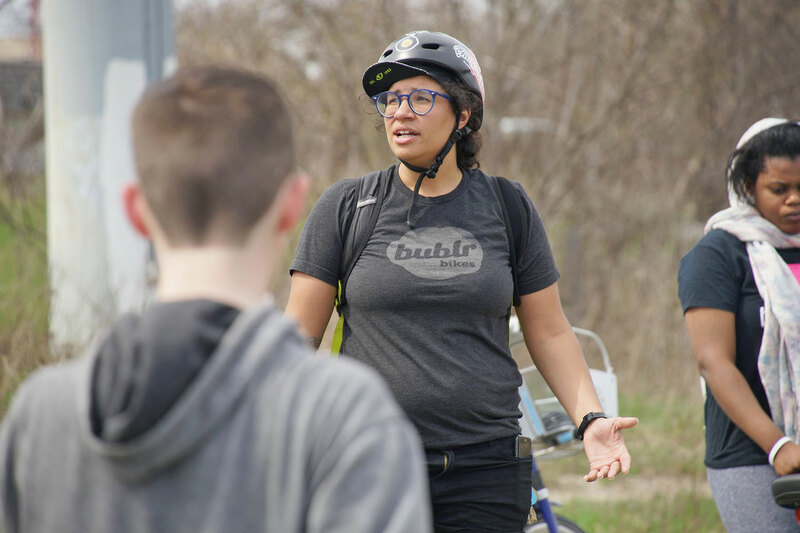 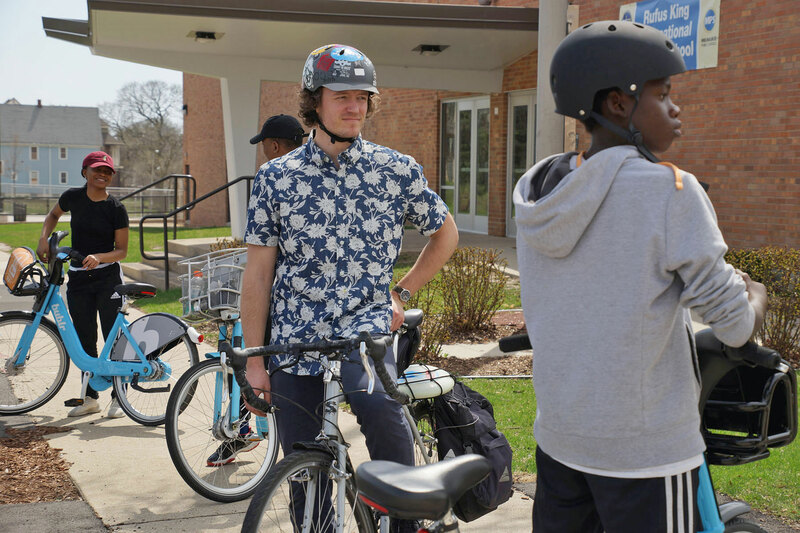 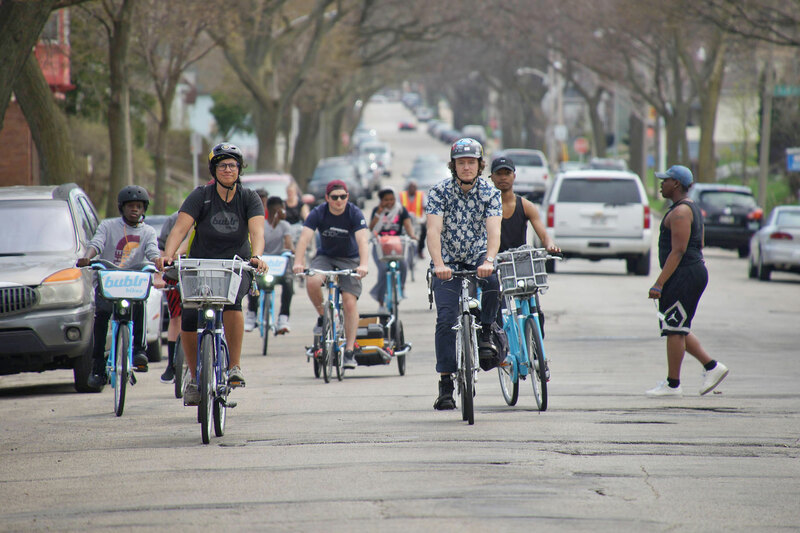 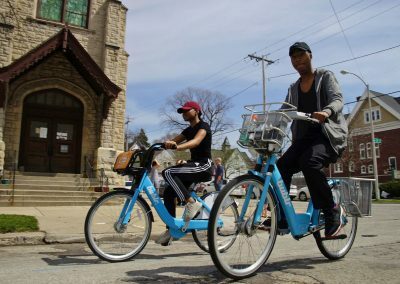 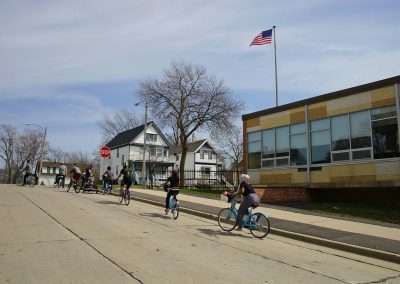 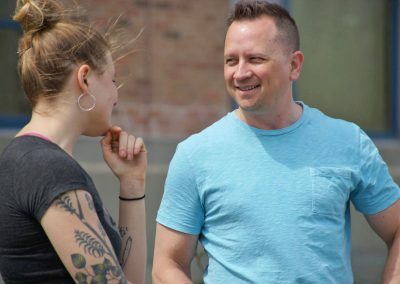 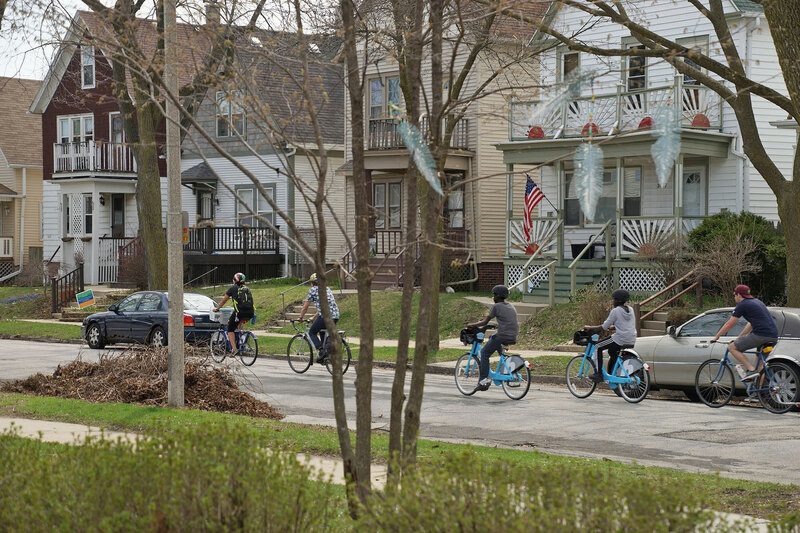 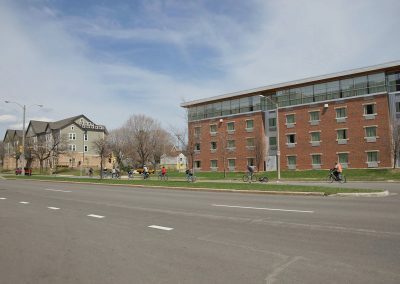 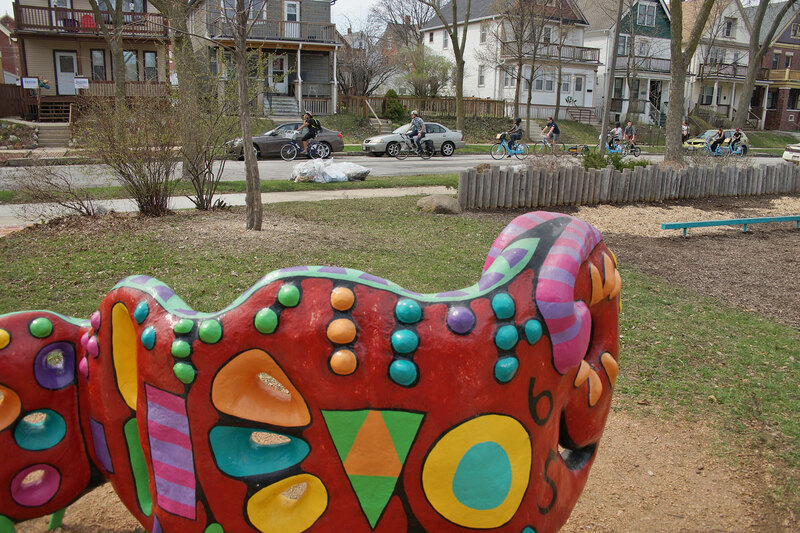 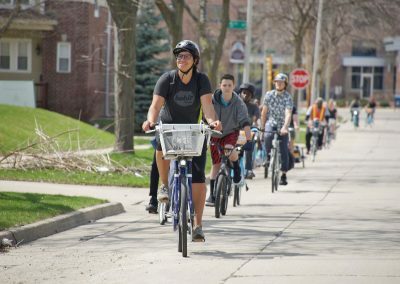 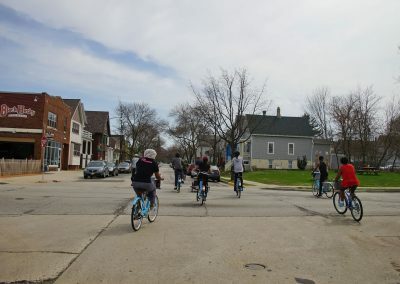 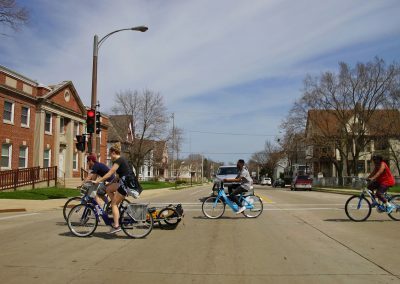 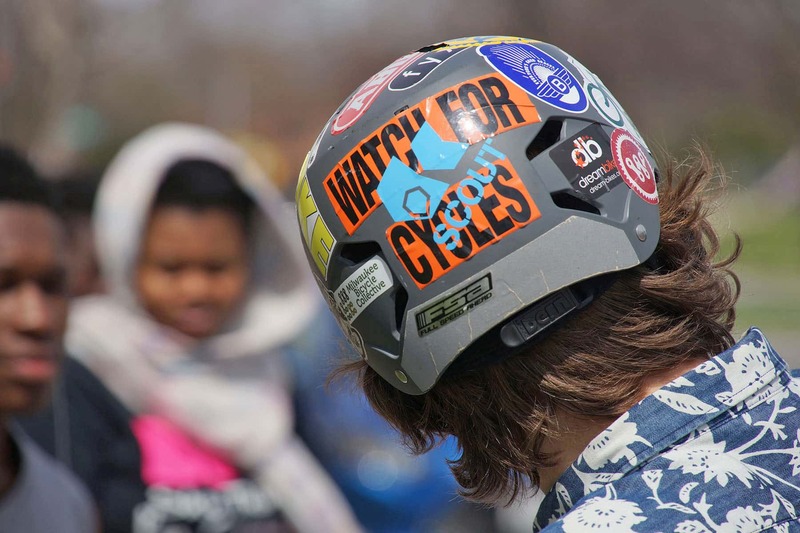 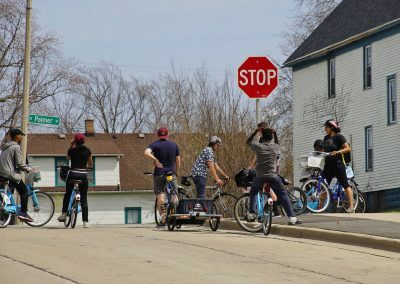 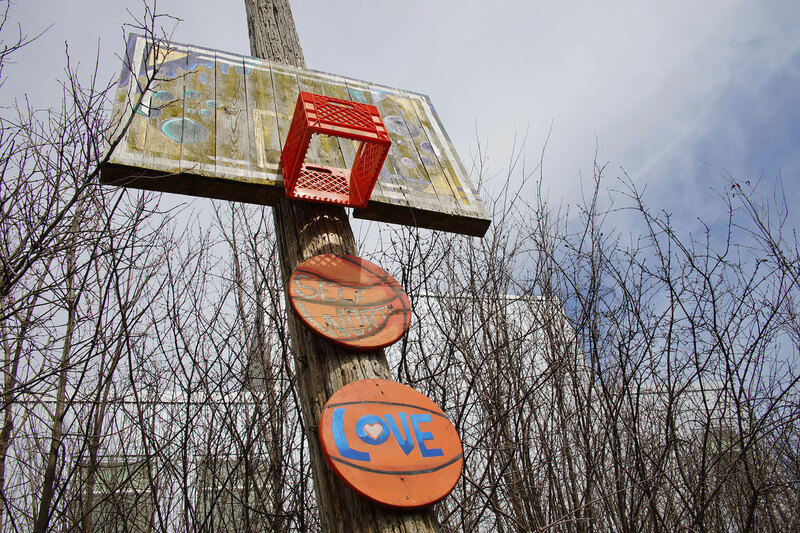 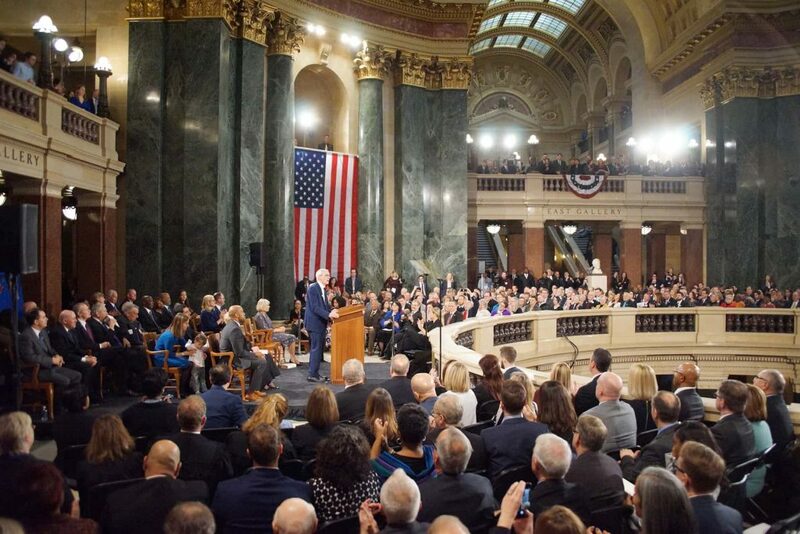 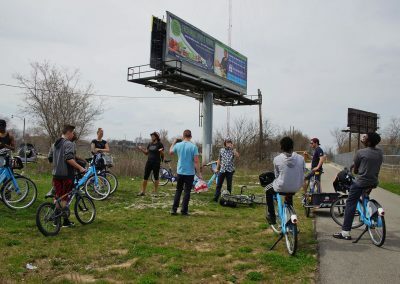 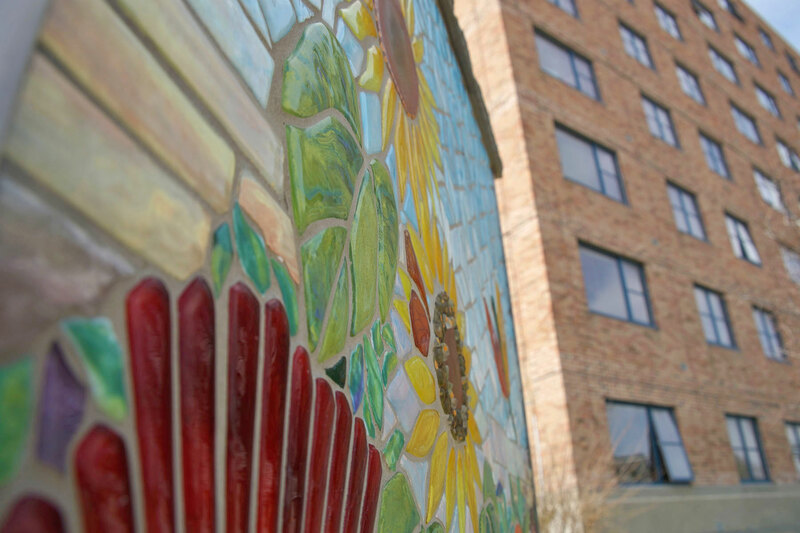 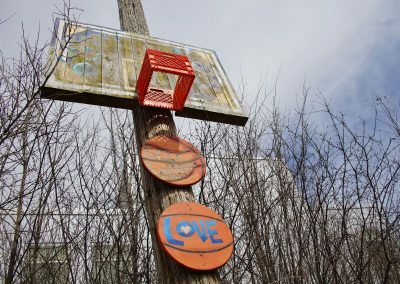 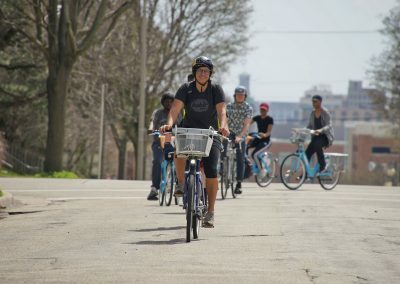 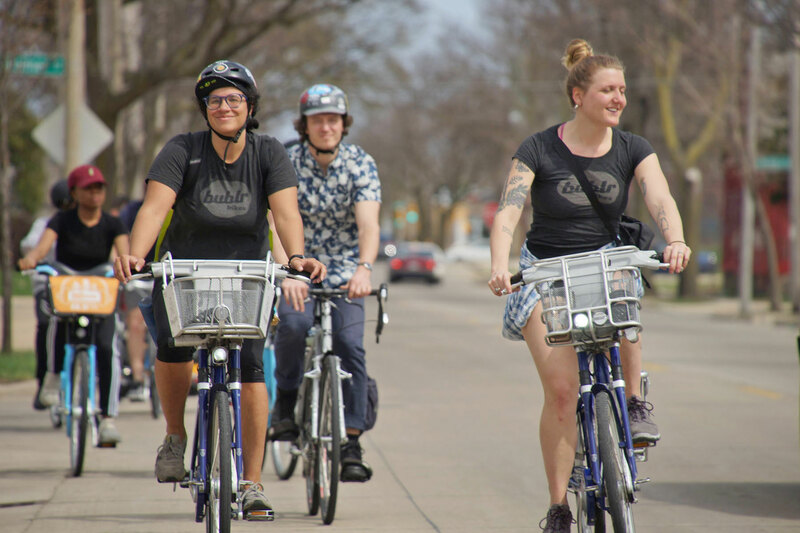 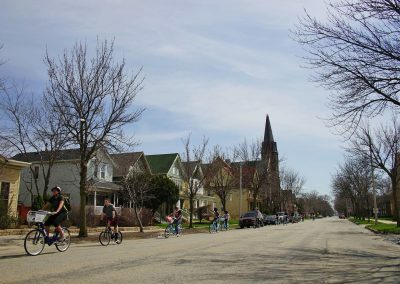 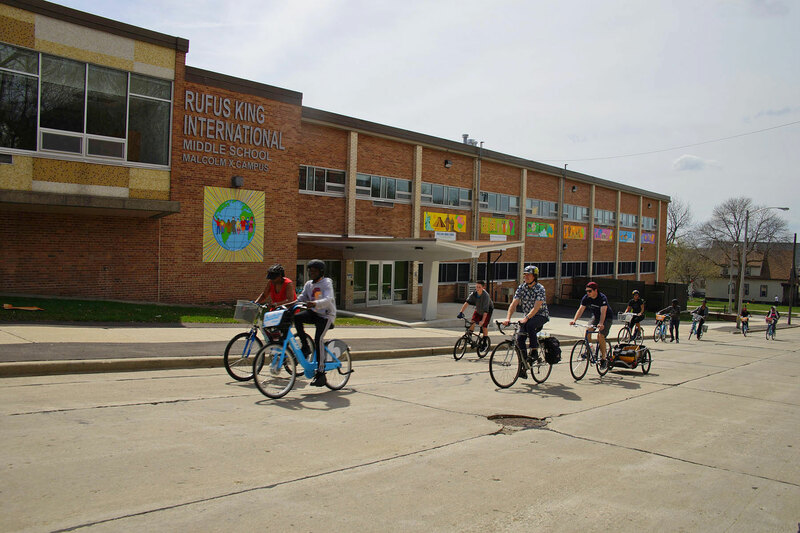 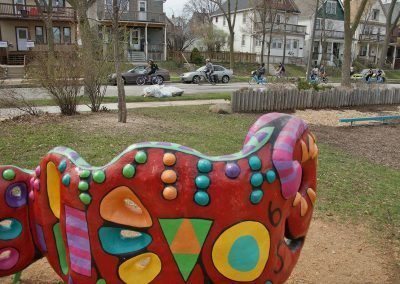 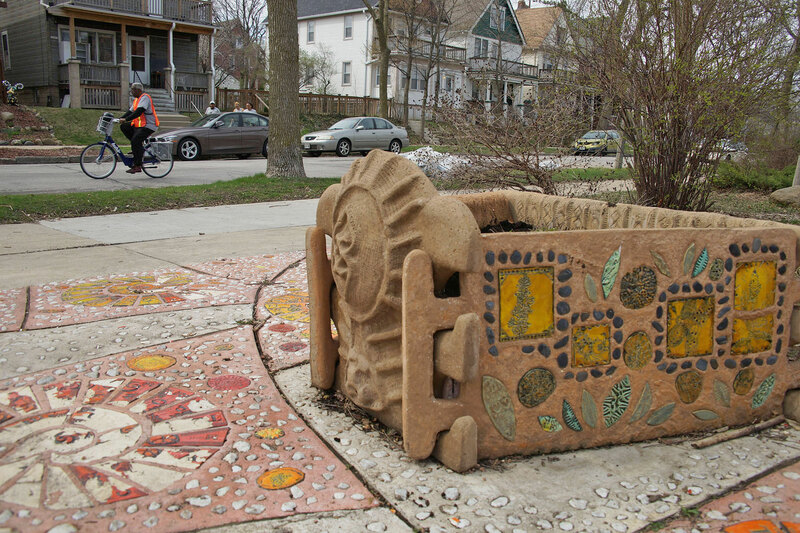 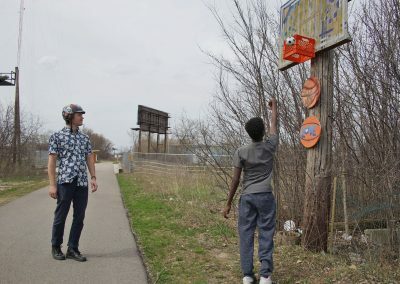 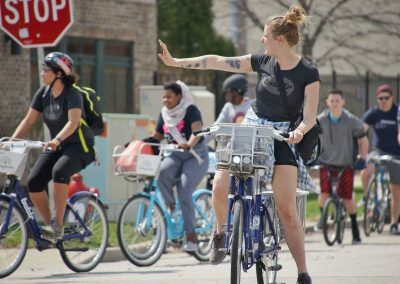 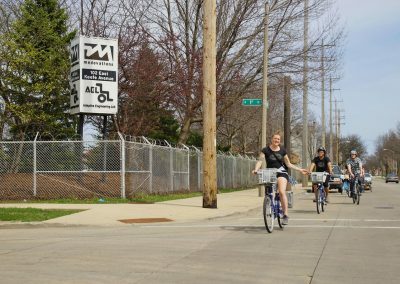 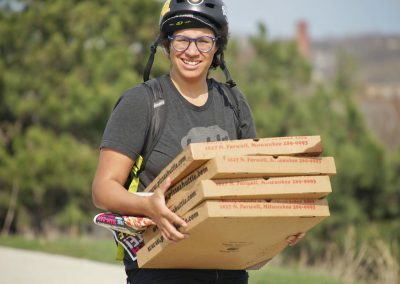 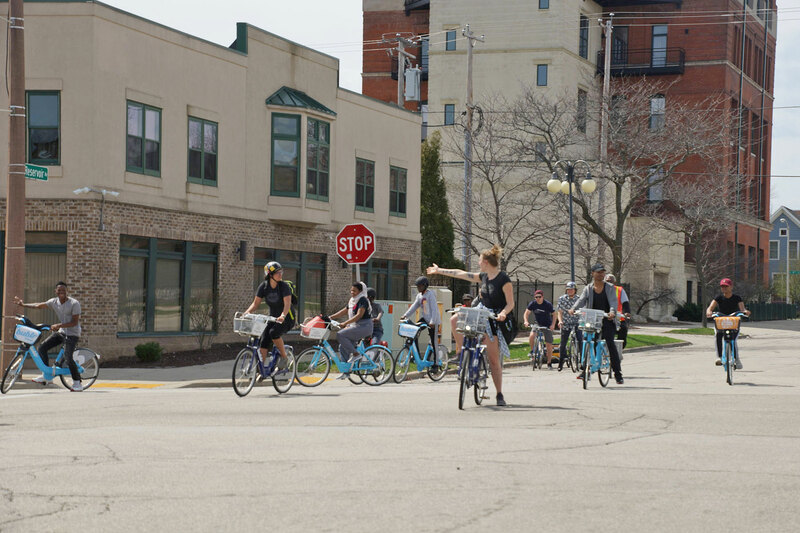 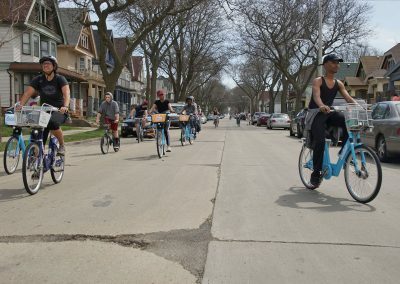 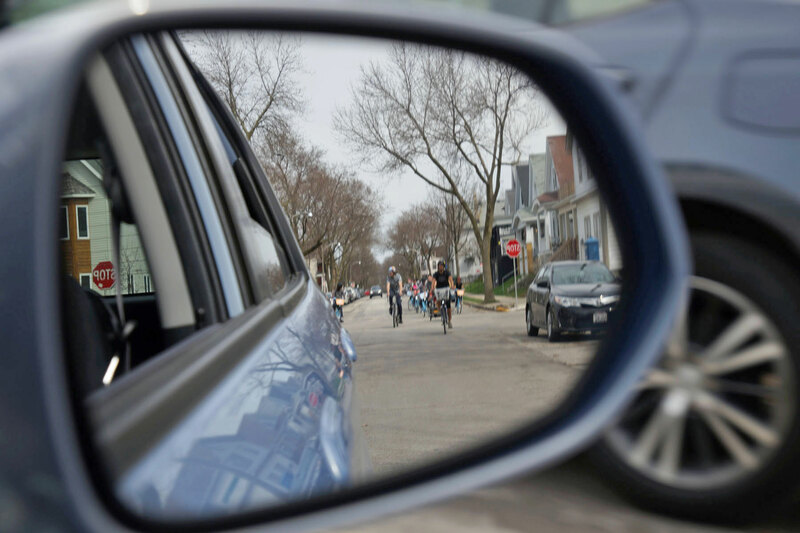 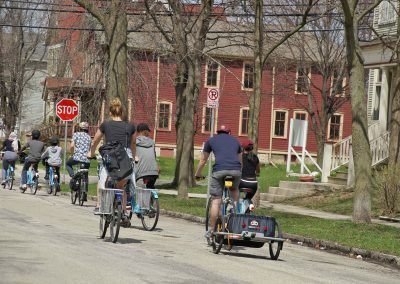 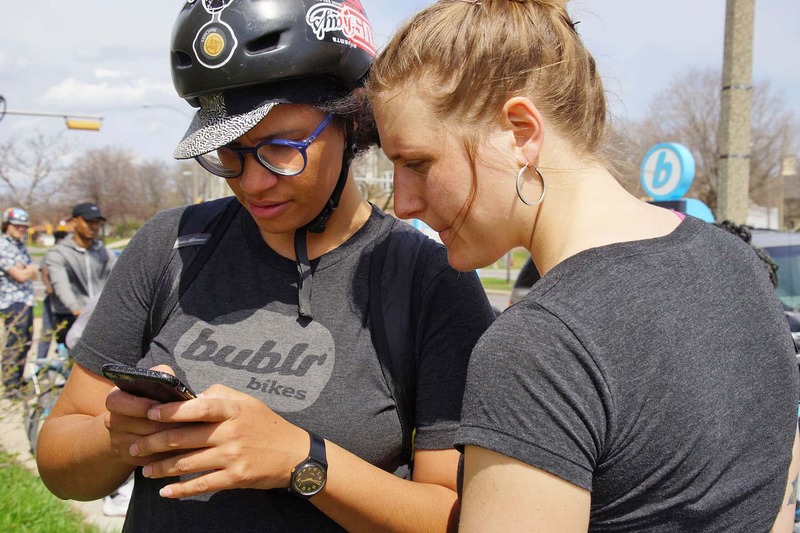 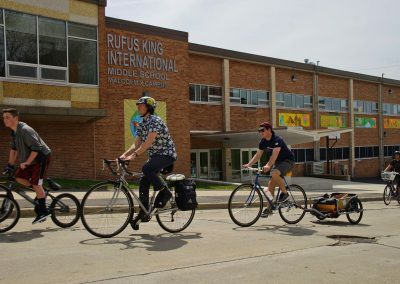 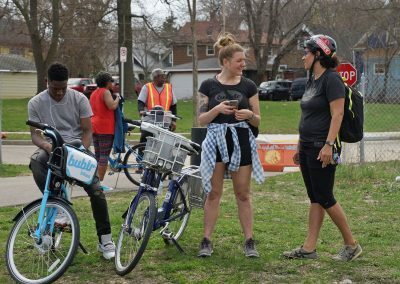 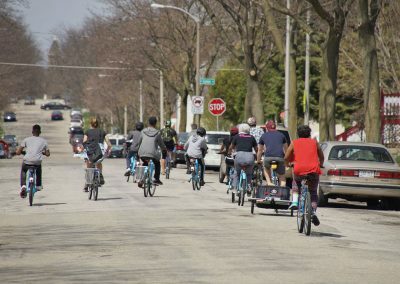 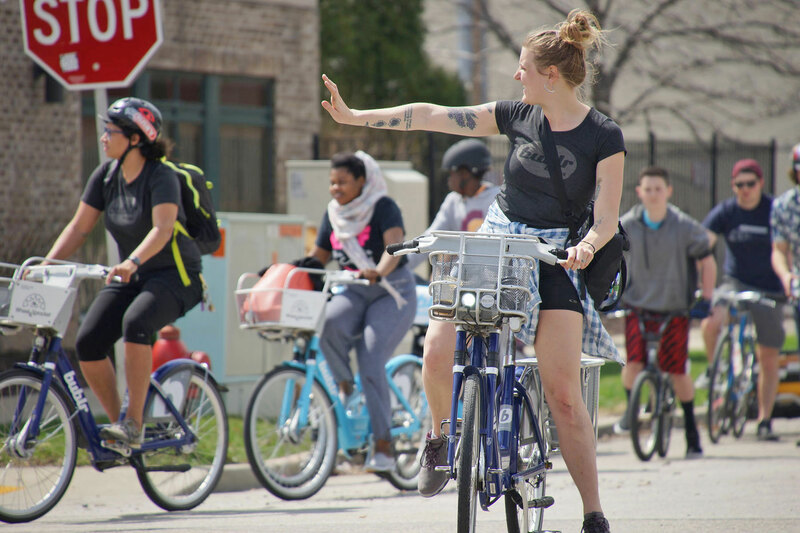 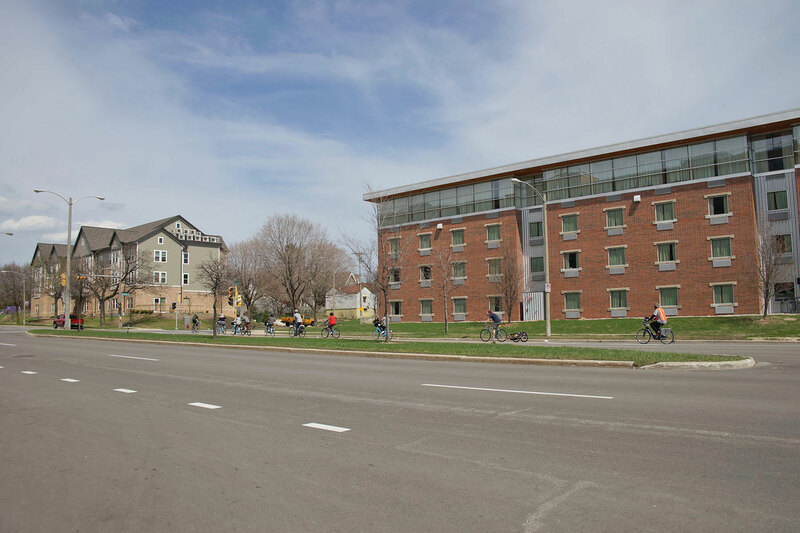 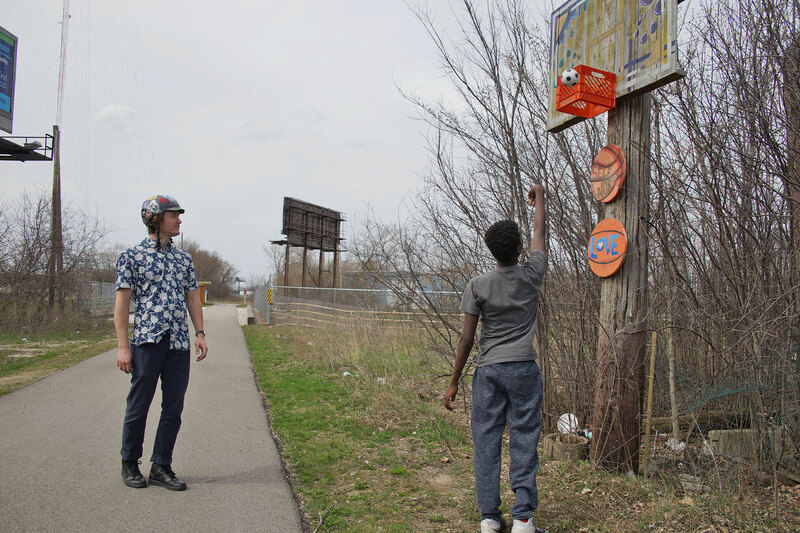 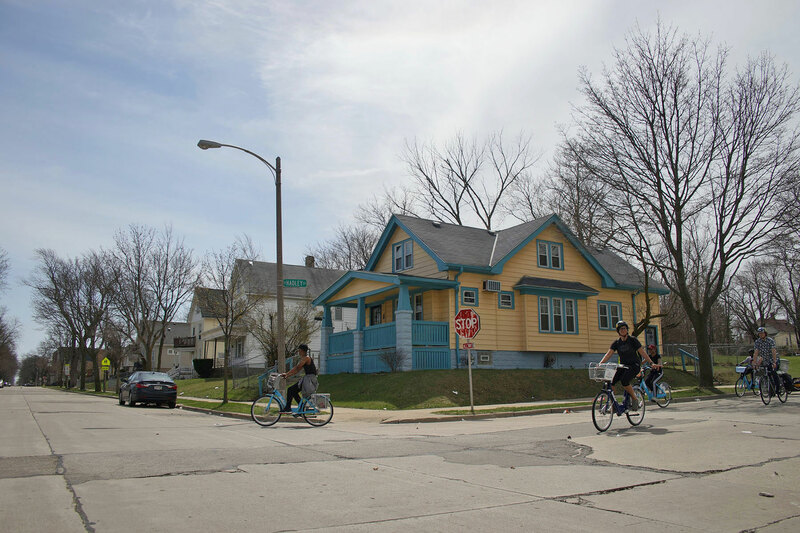 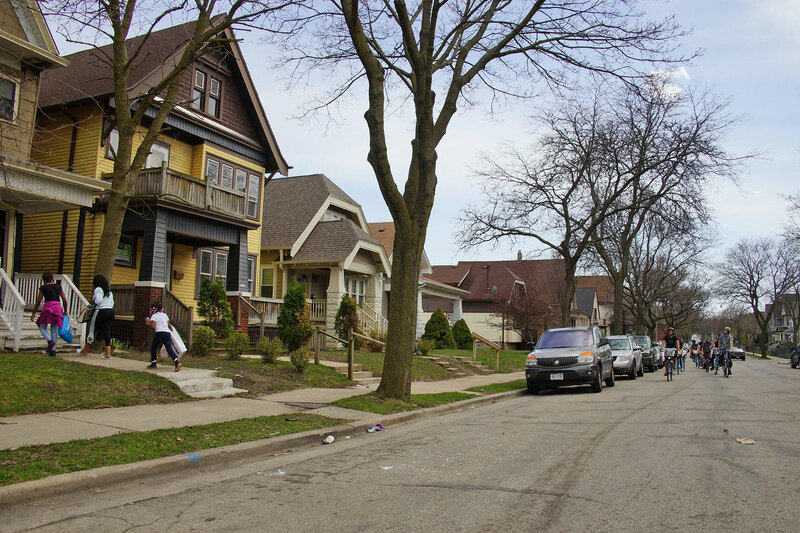 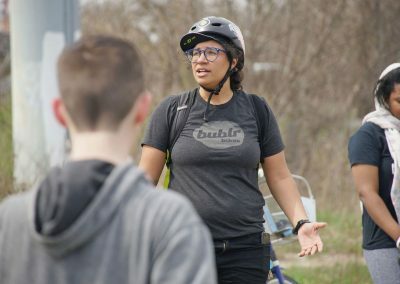 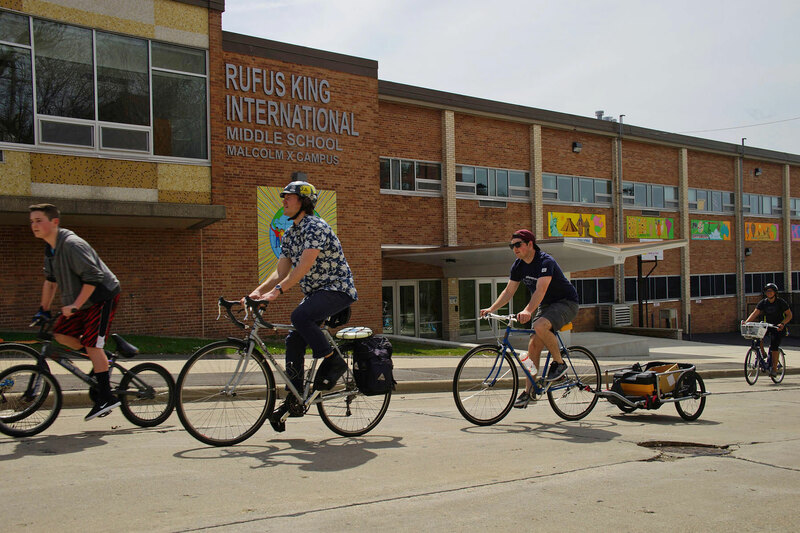 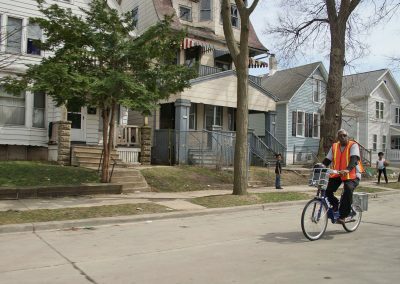 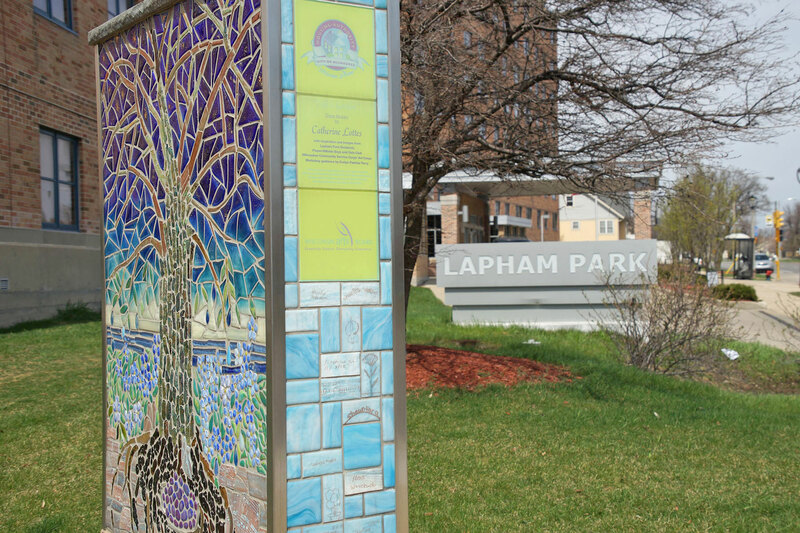 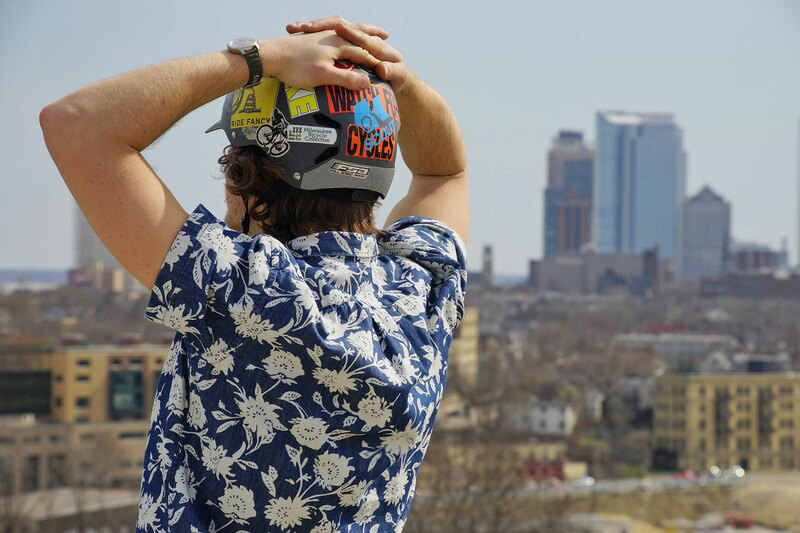 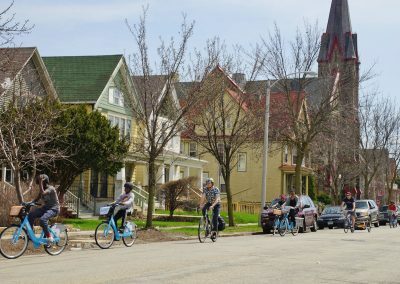 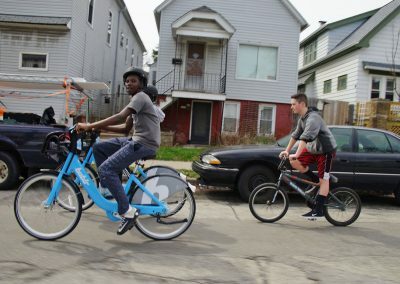 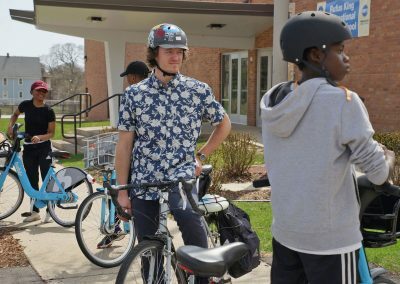 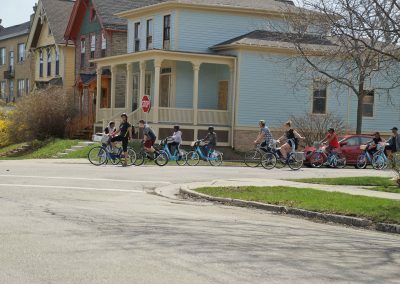 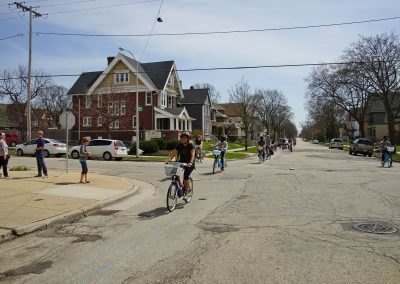 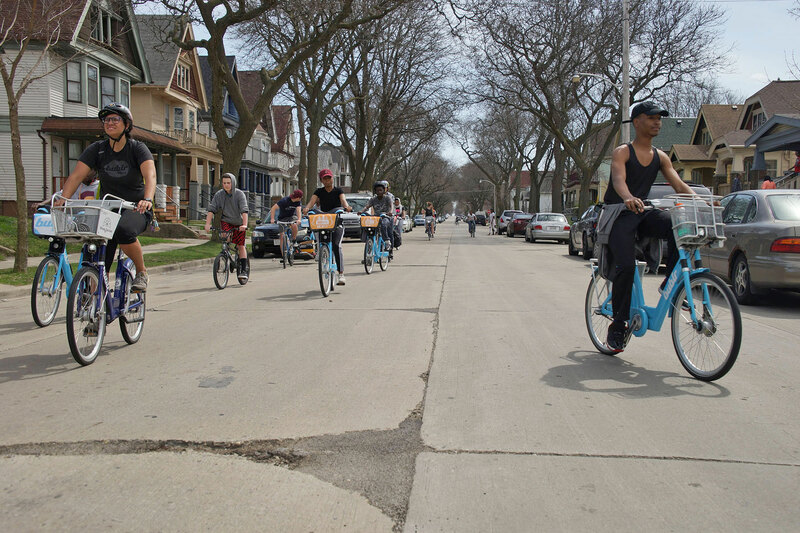 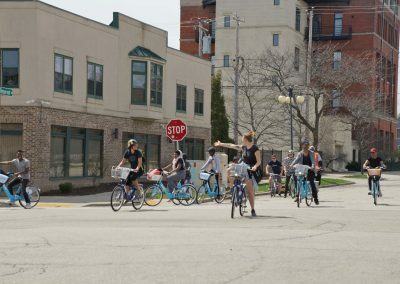 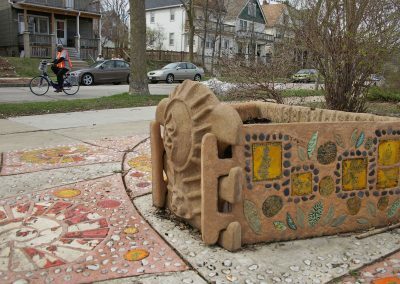 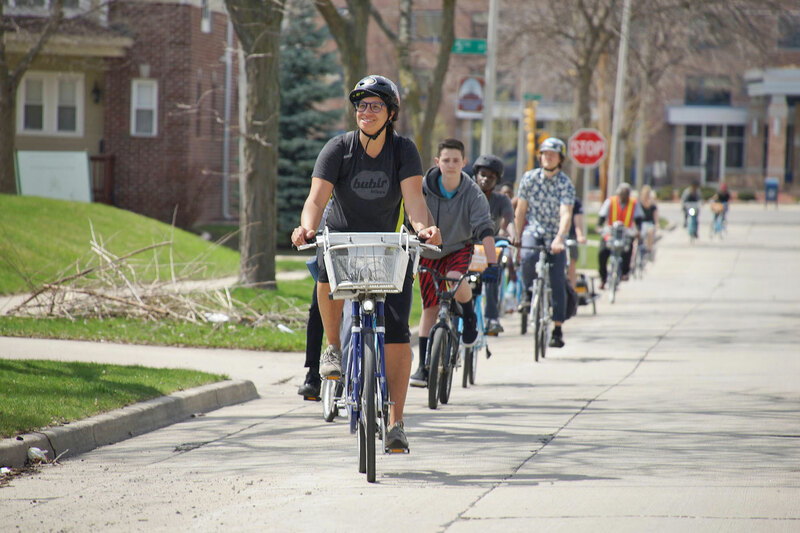 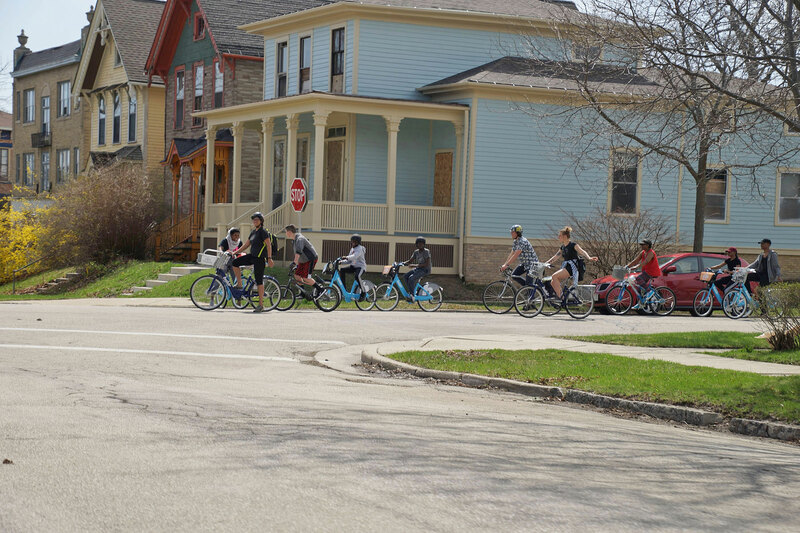 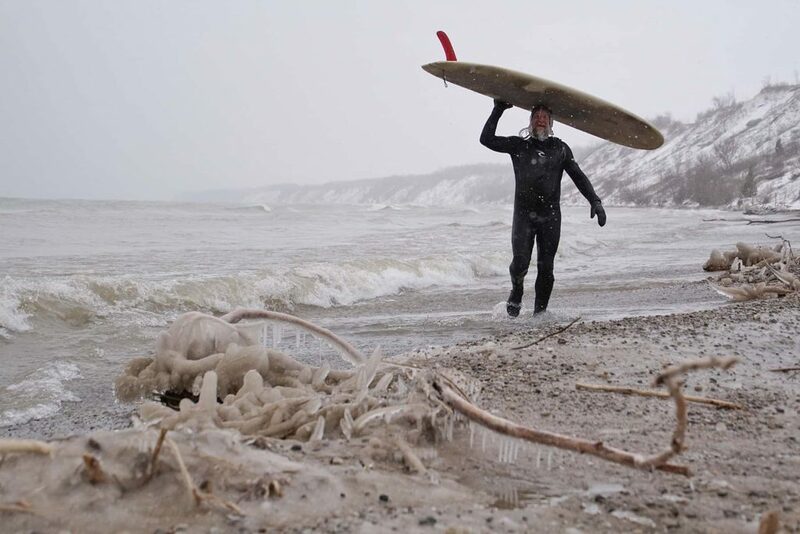 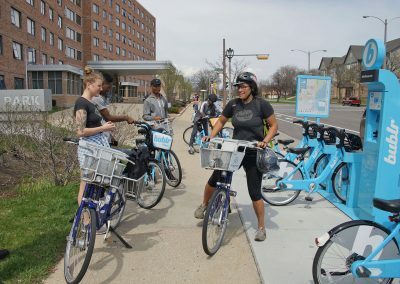 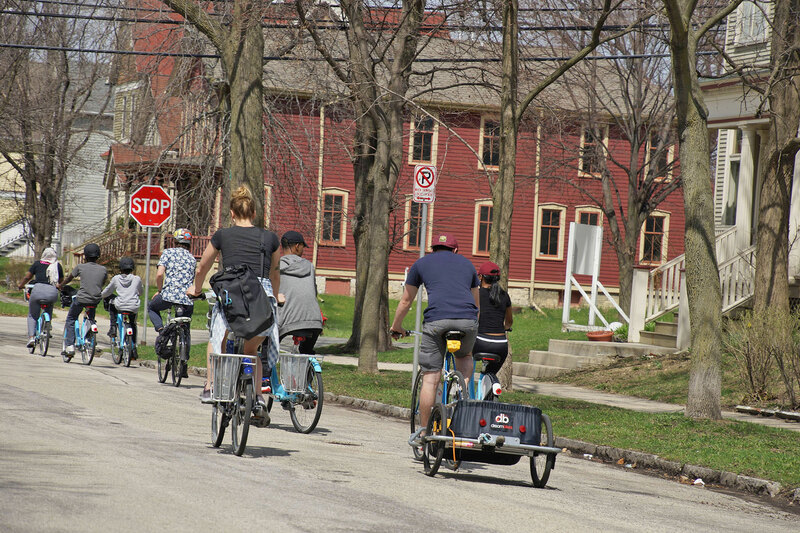 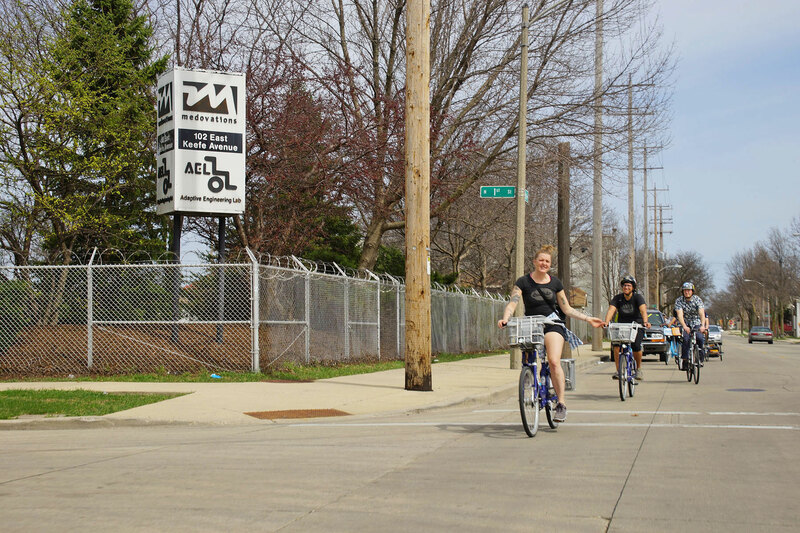 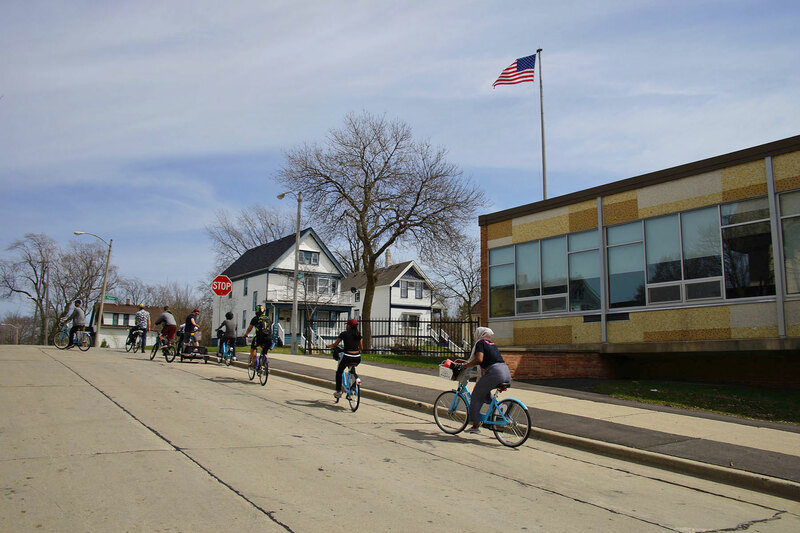 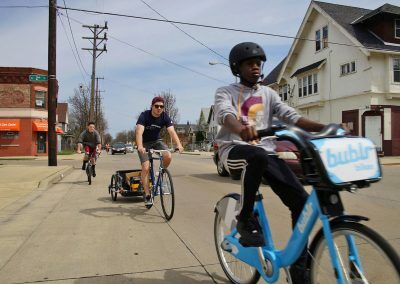 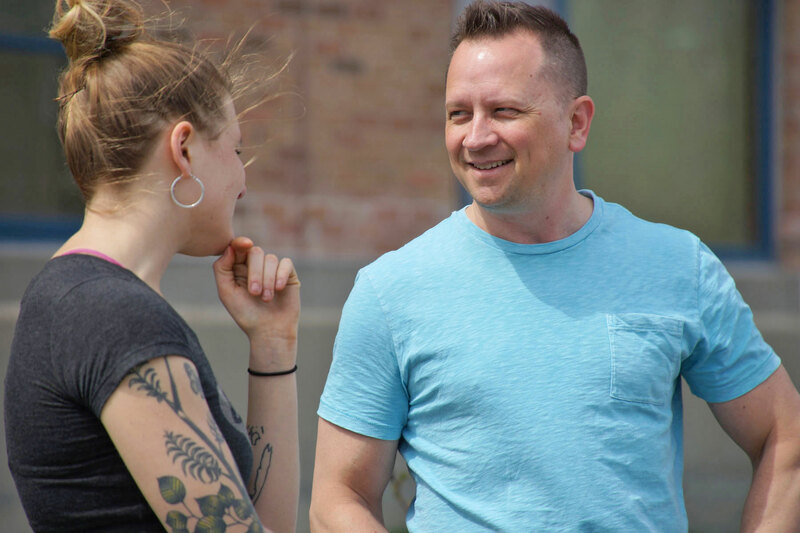 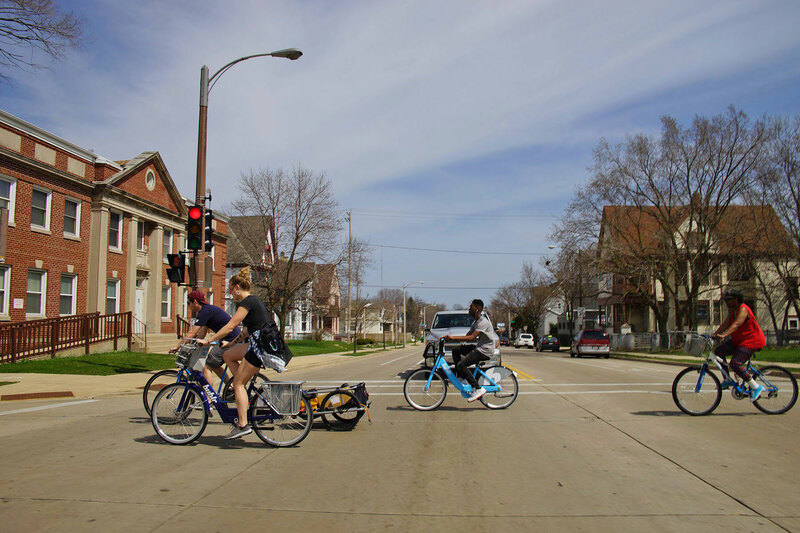 These images follow the ride through the neighborhoods of Milwaukee and pepperoni pizza party afterwards, highlighting a program that tries to ensure residents of all incomes can use bike share to connect with the people and activities that are important to them.